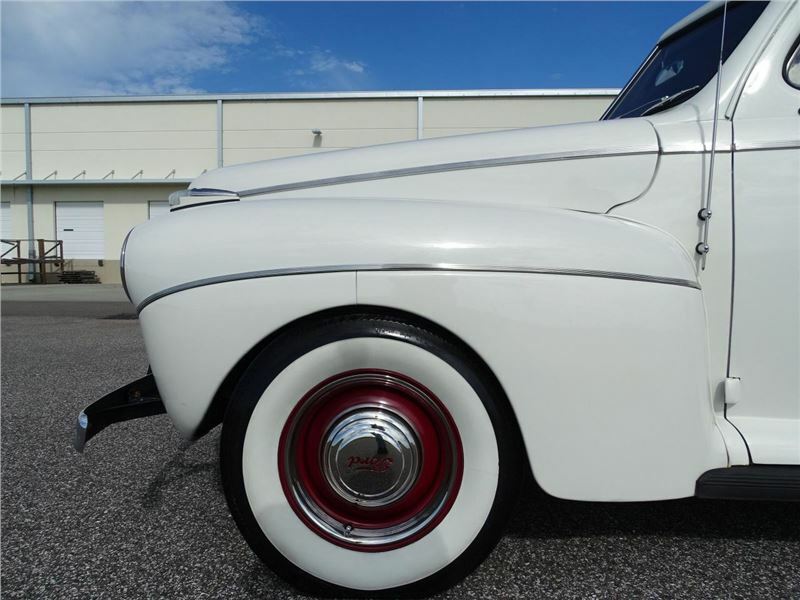 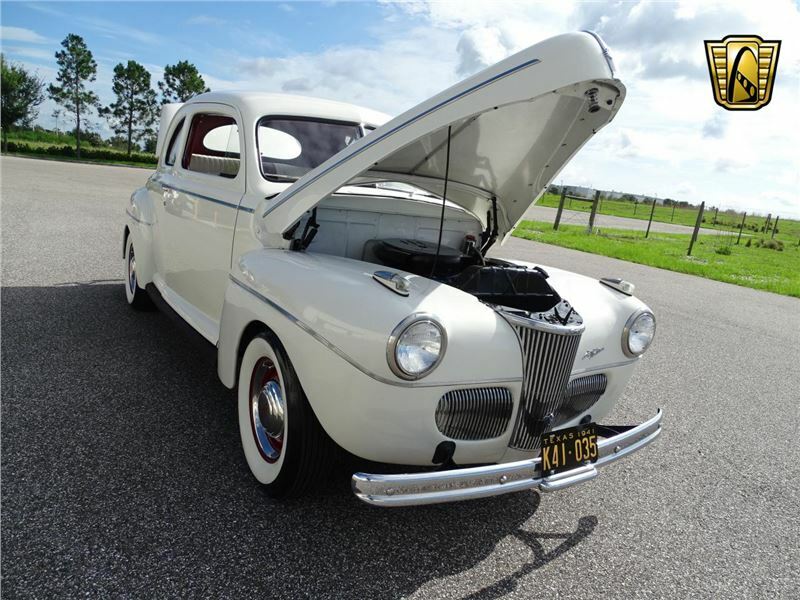 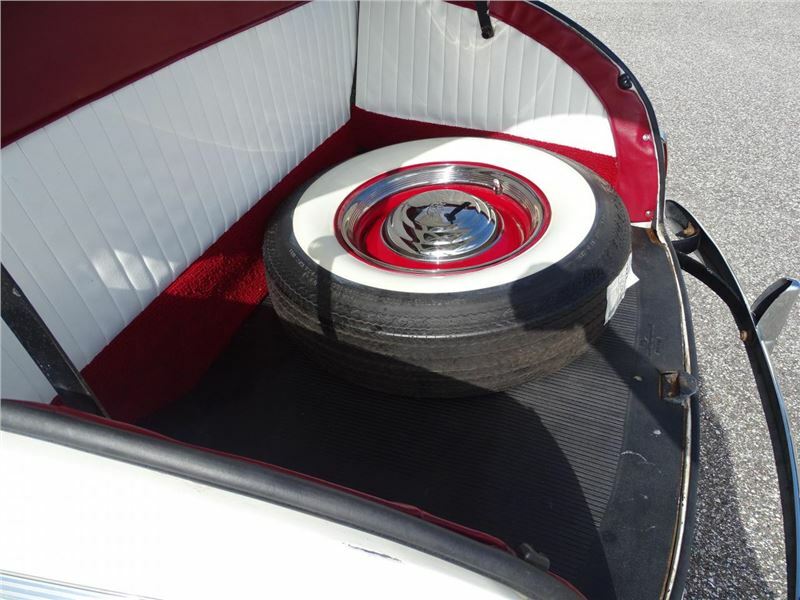 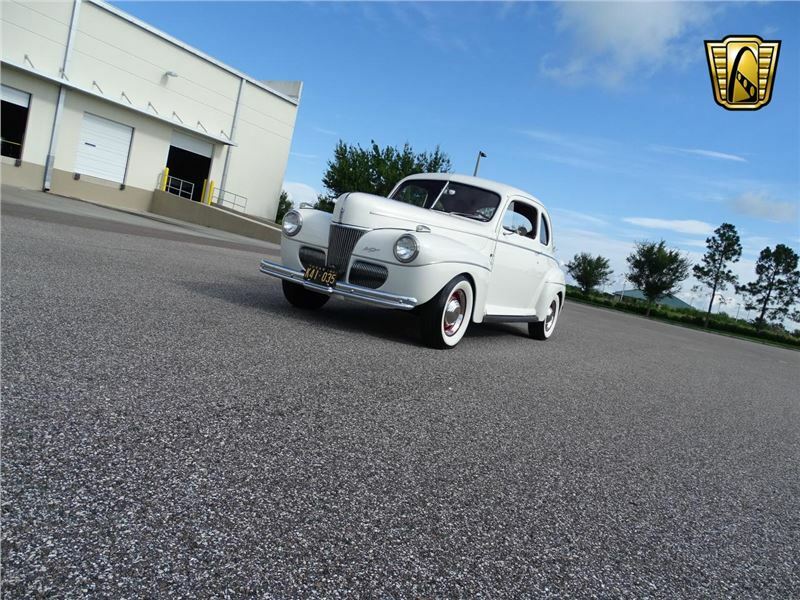 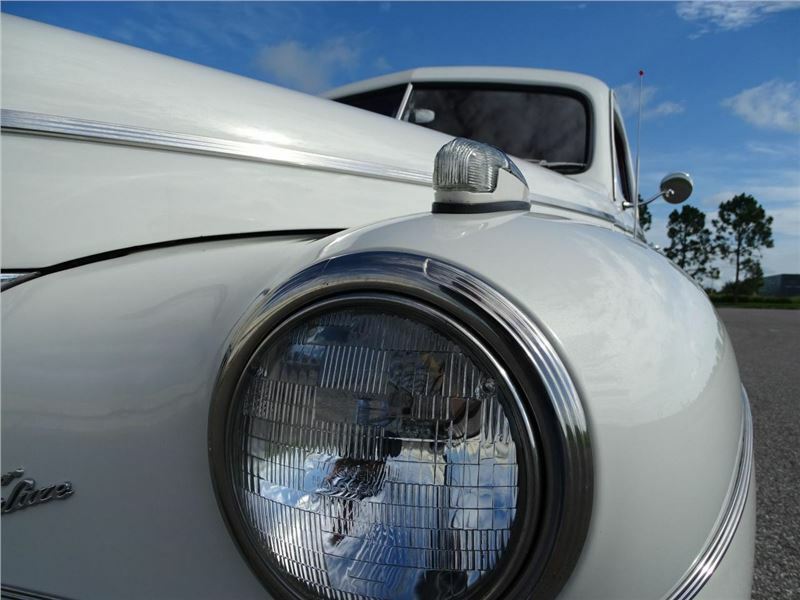 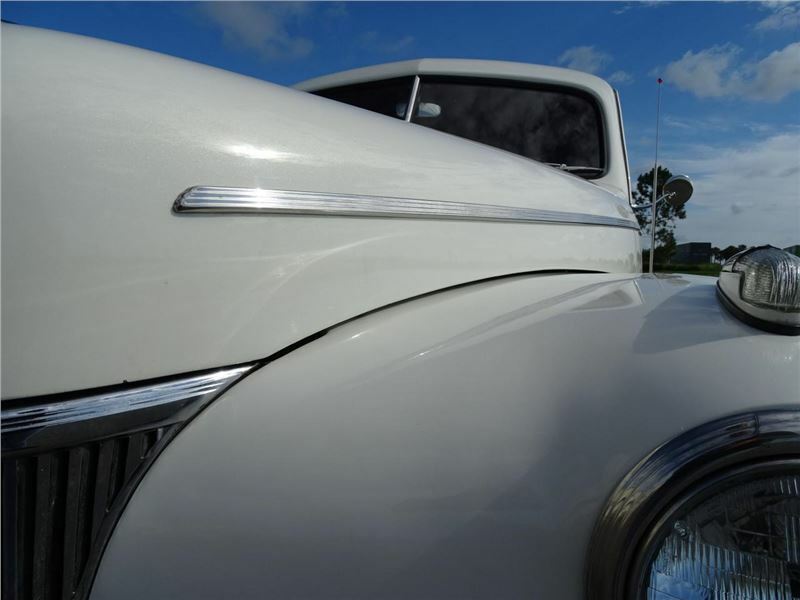 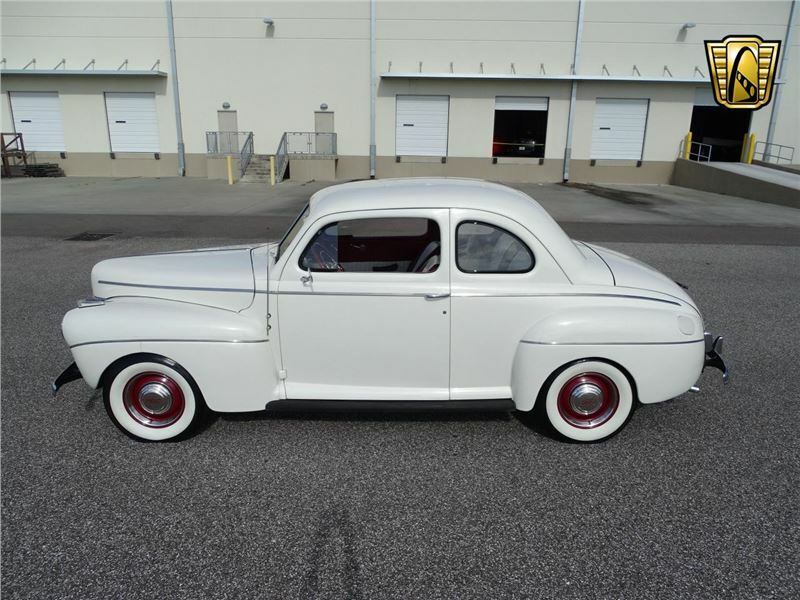 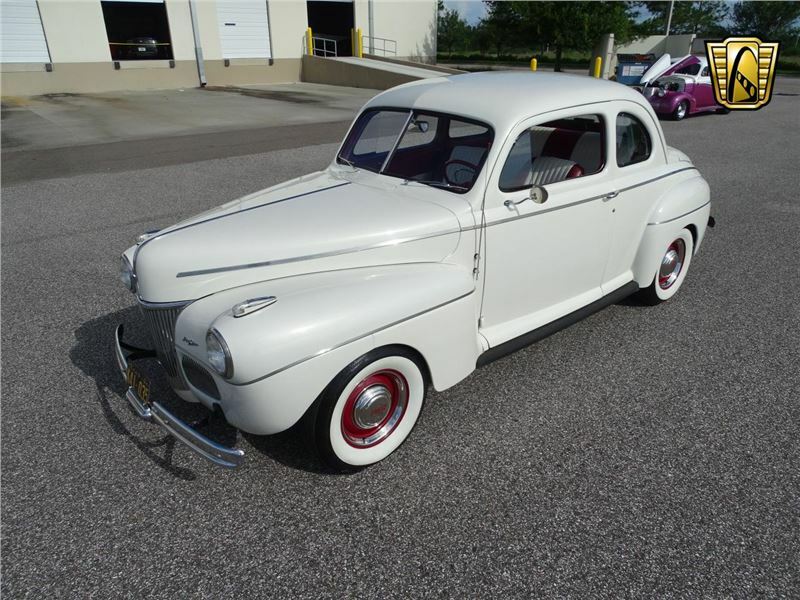 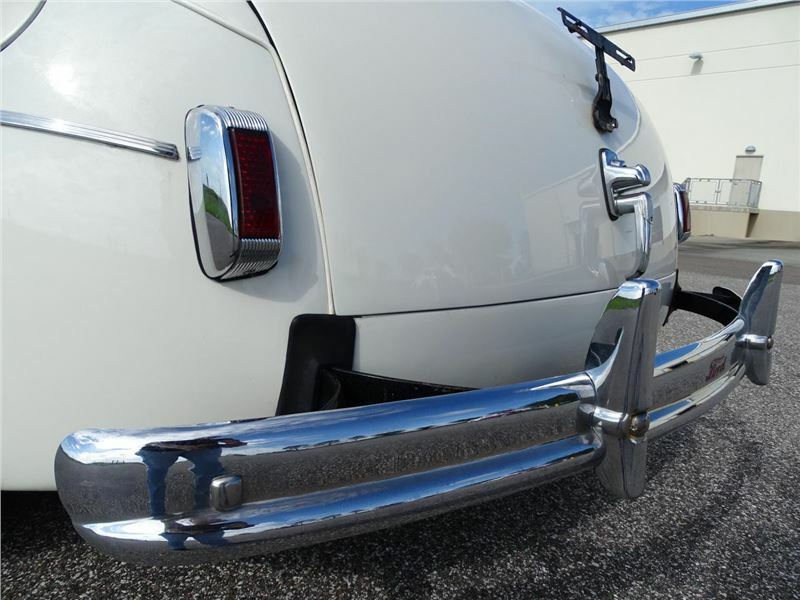 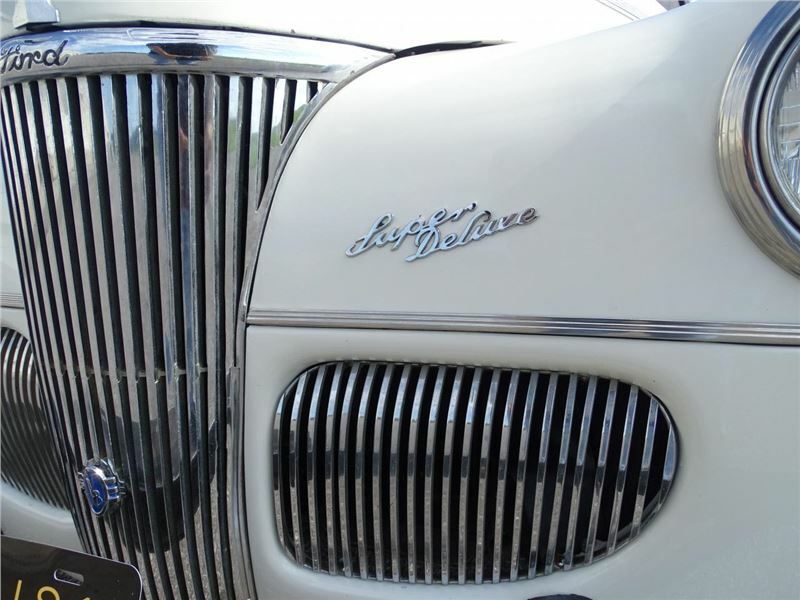 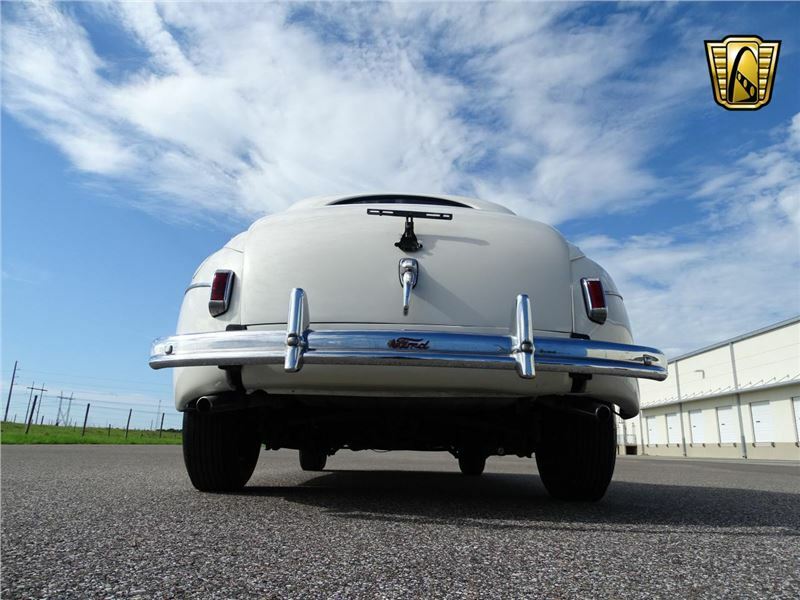 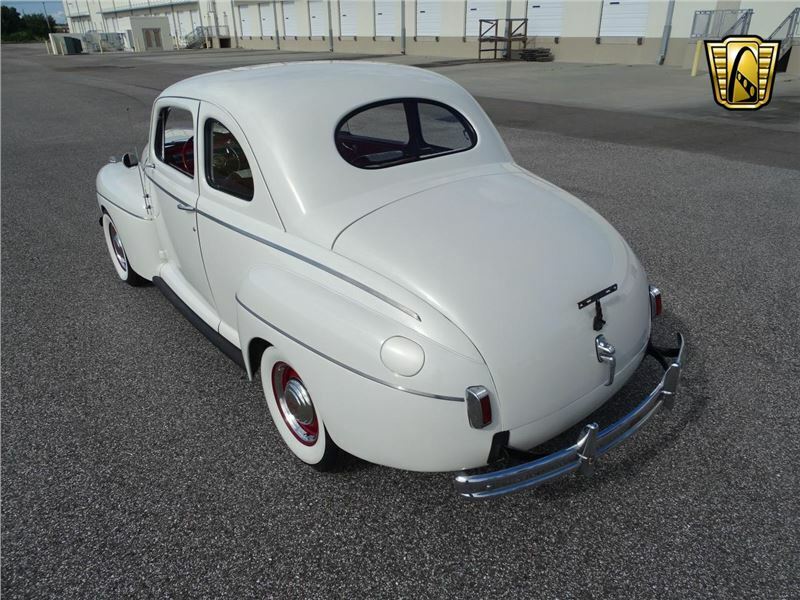 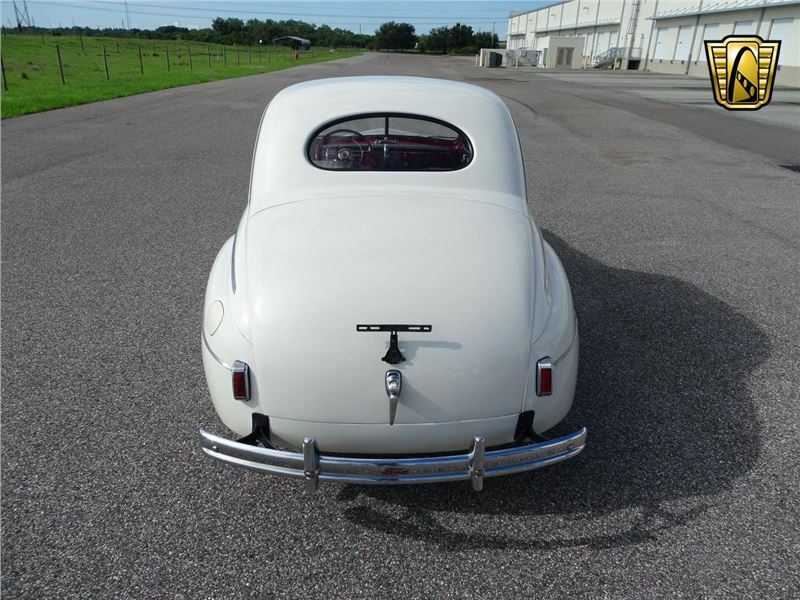 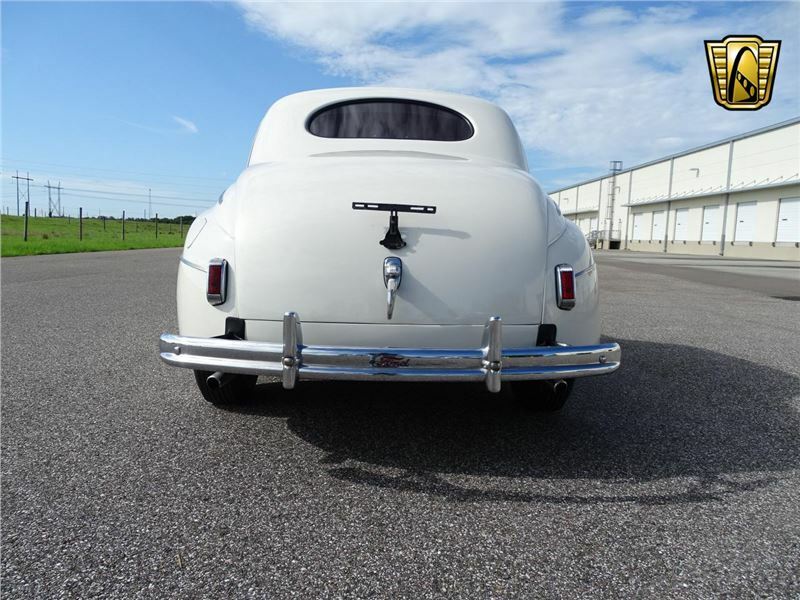 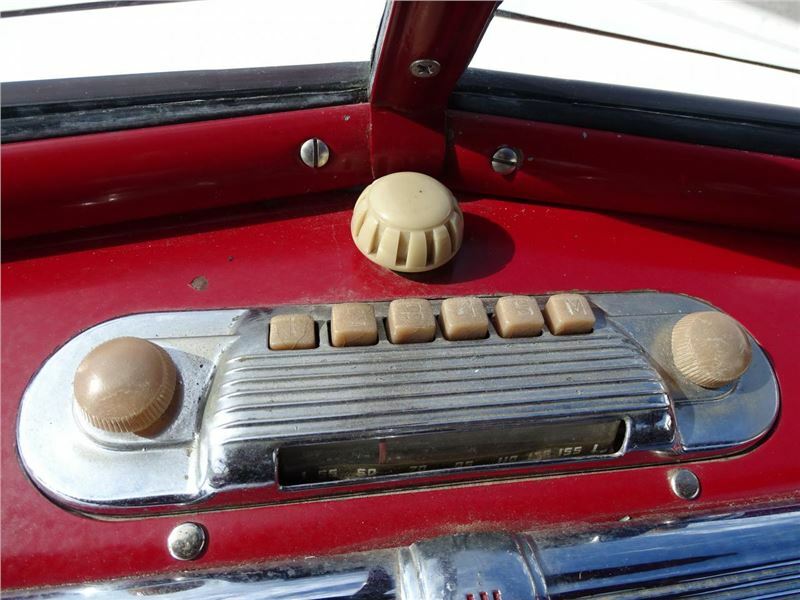 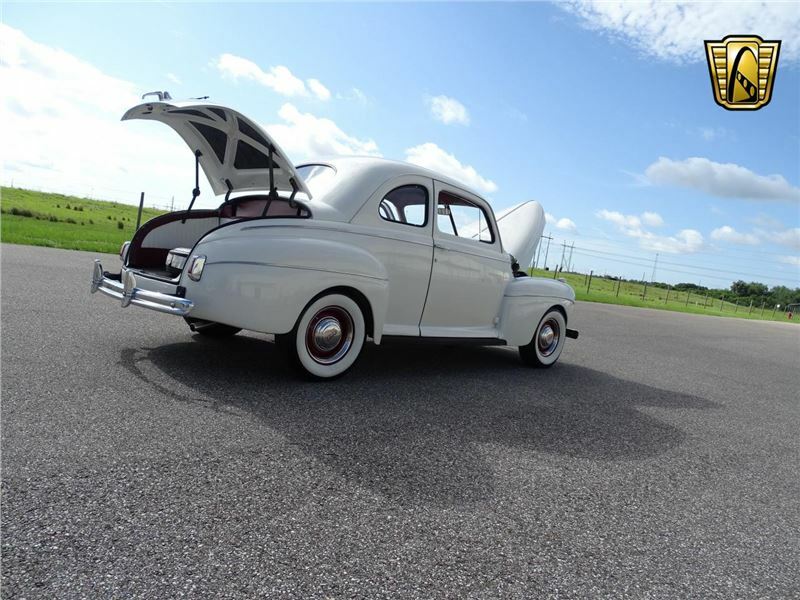 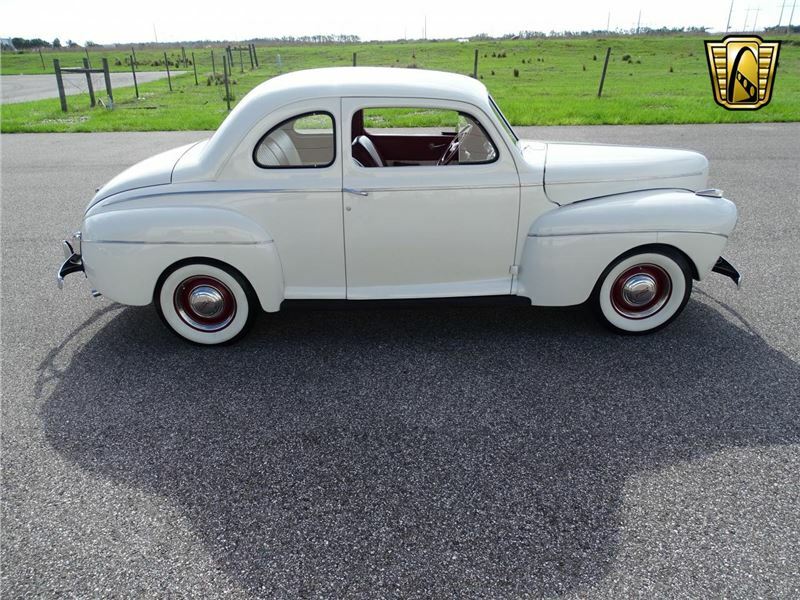 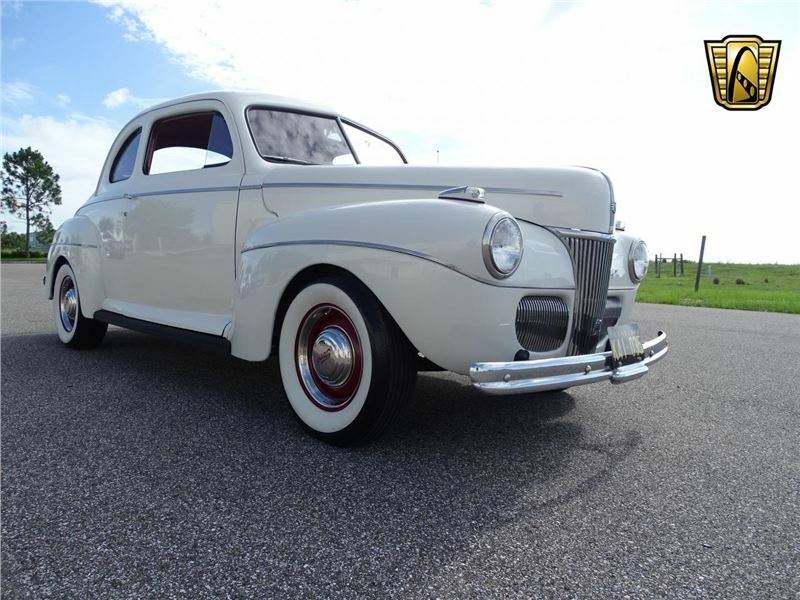 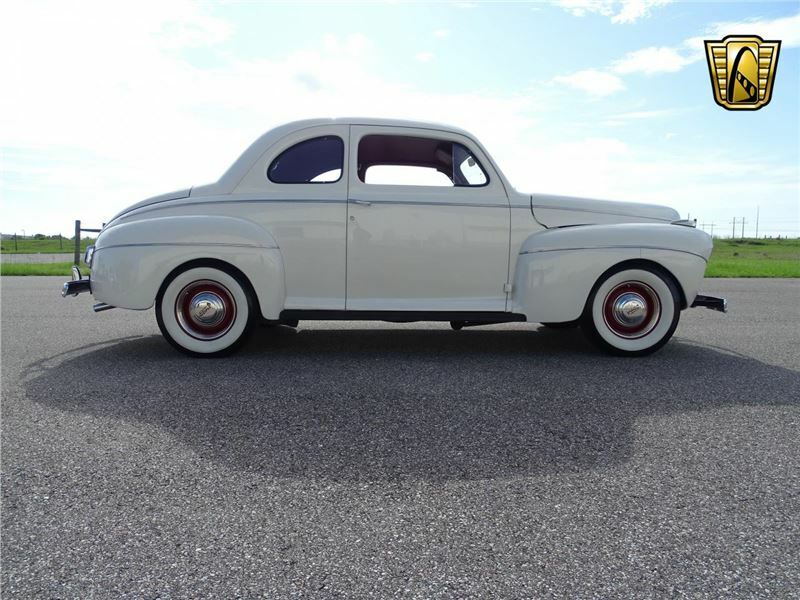 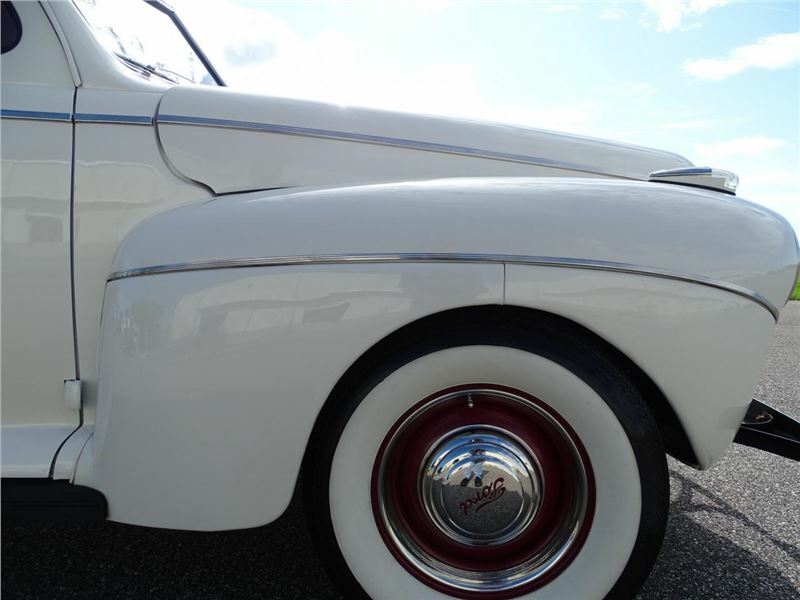 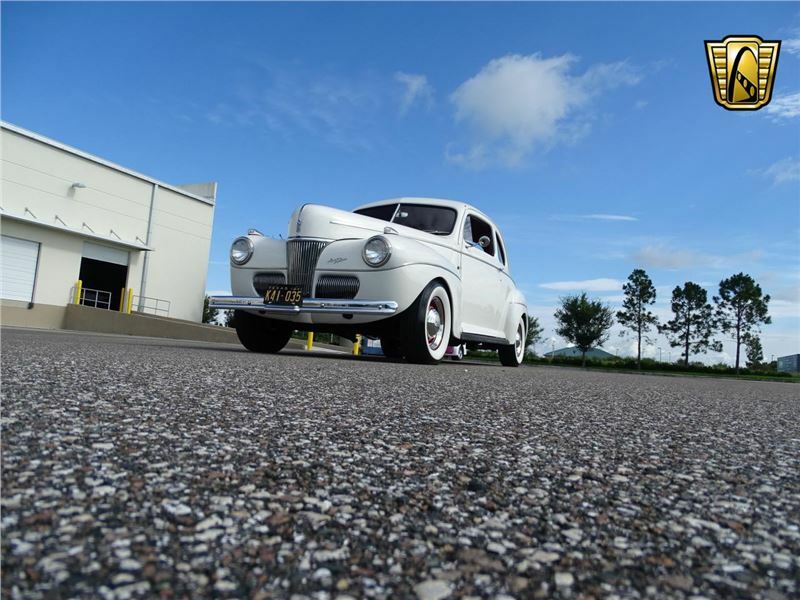 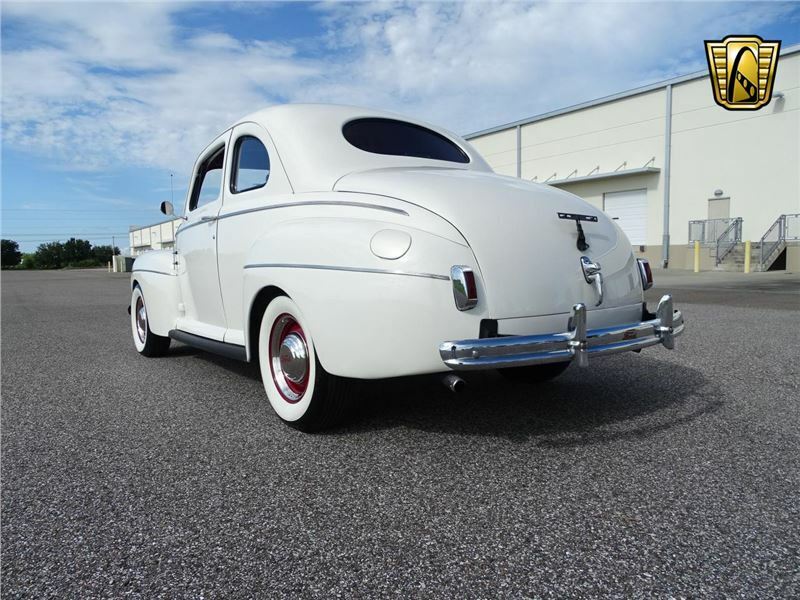 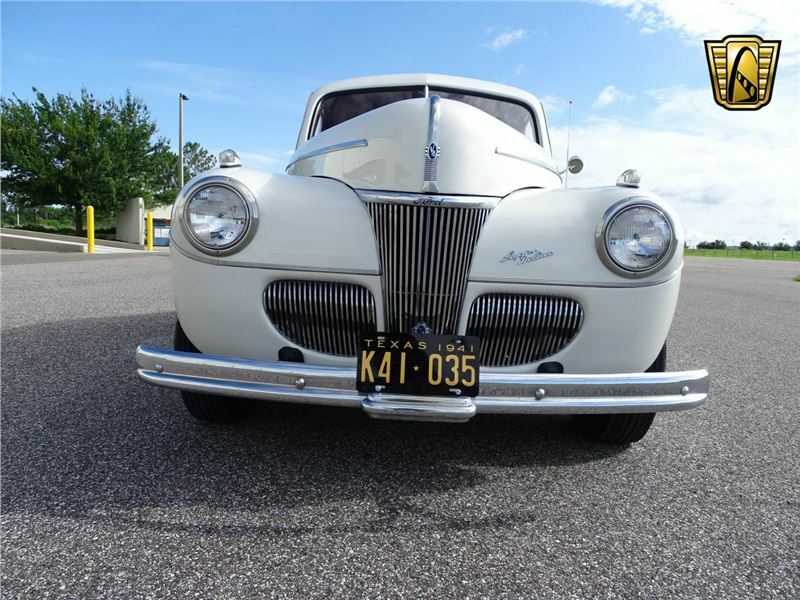 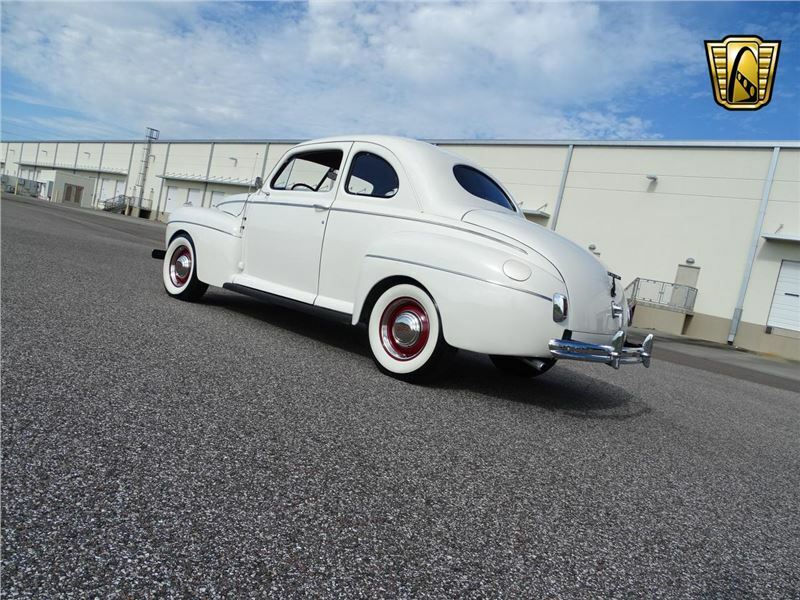 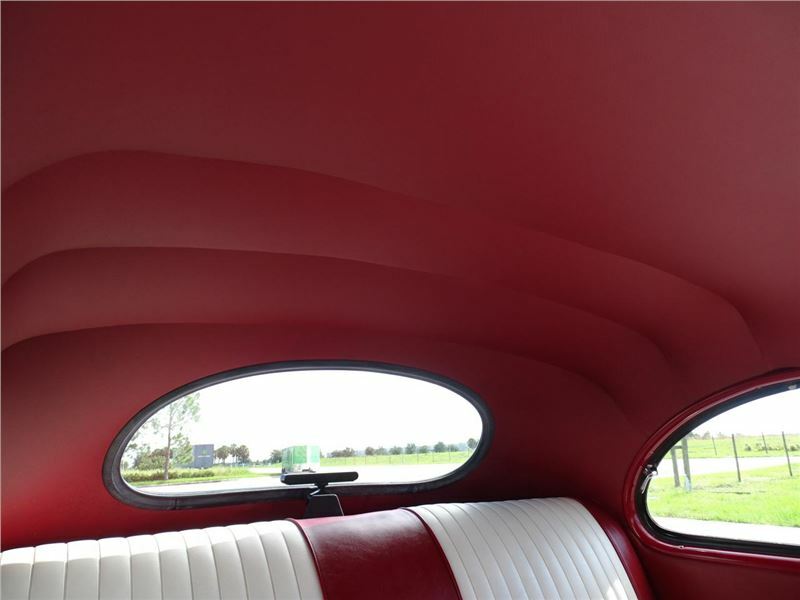 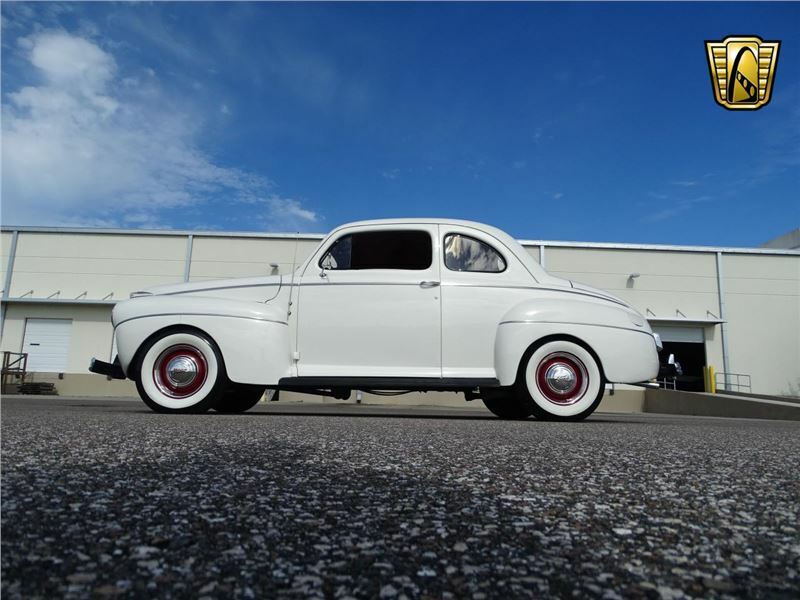 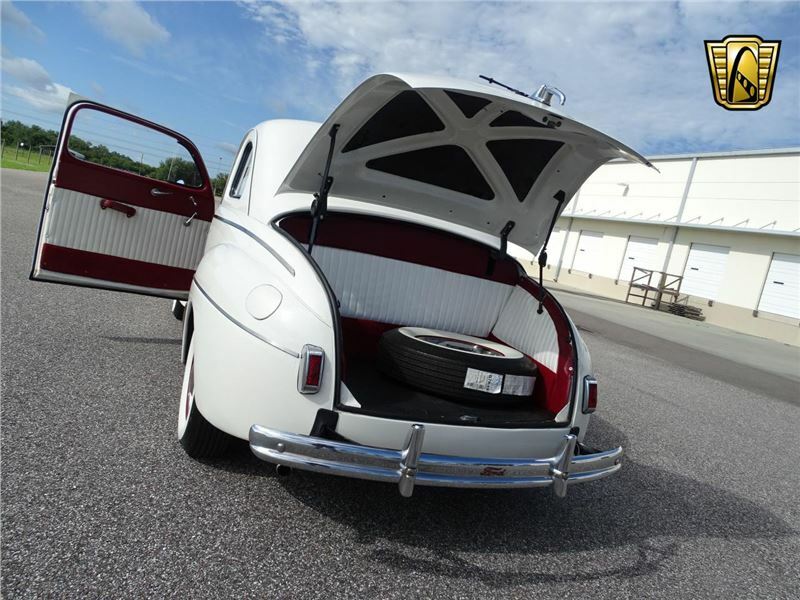 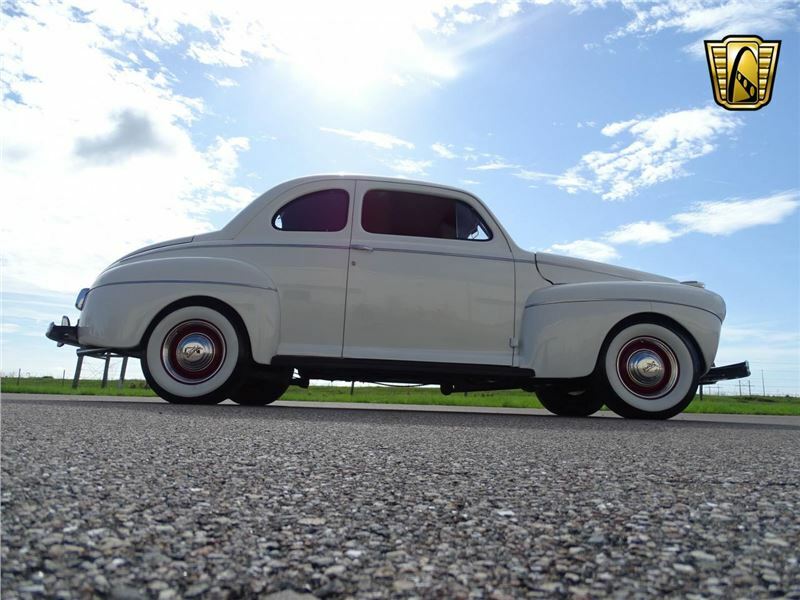 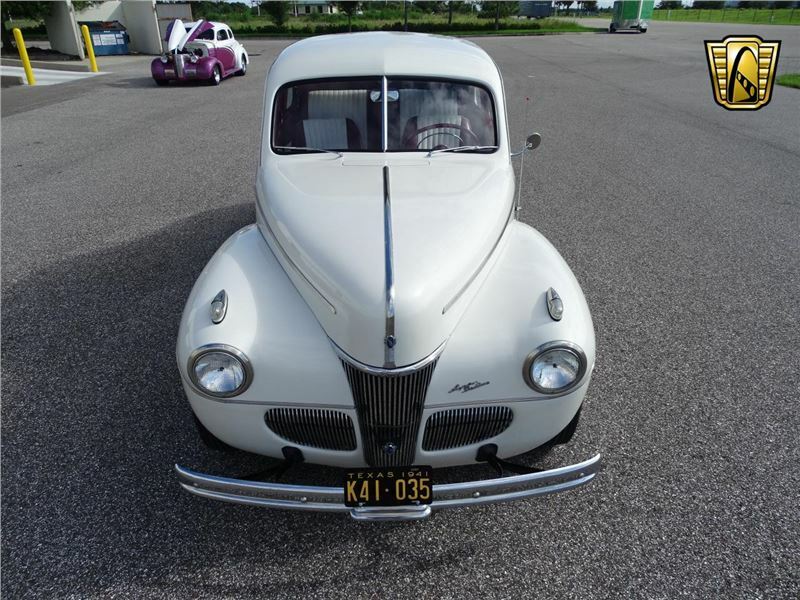 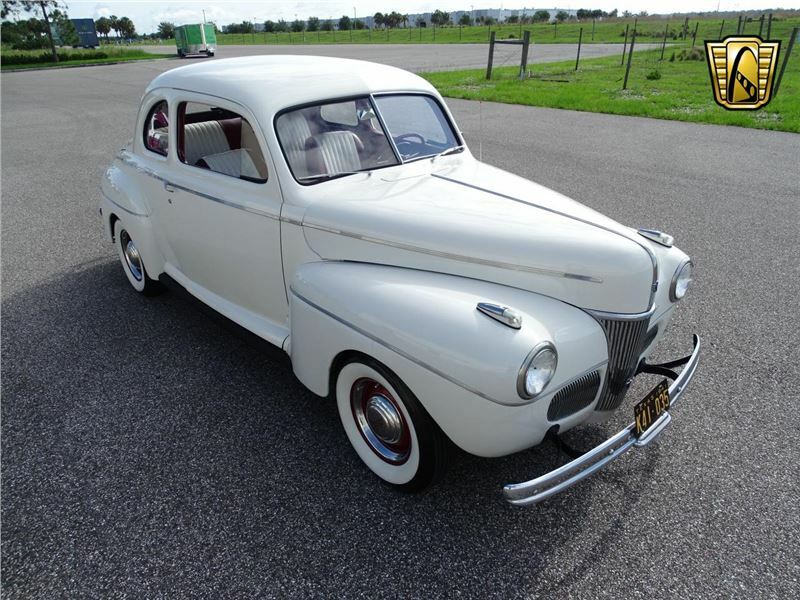 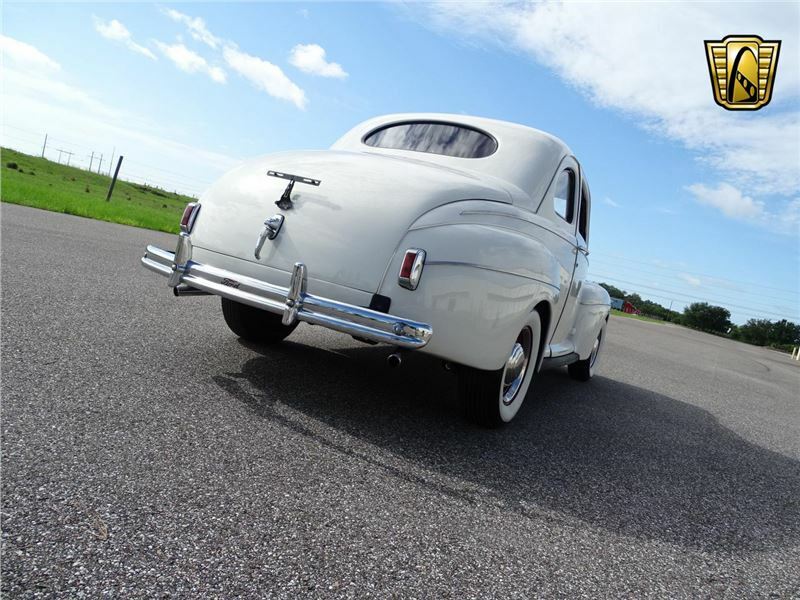 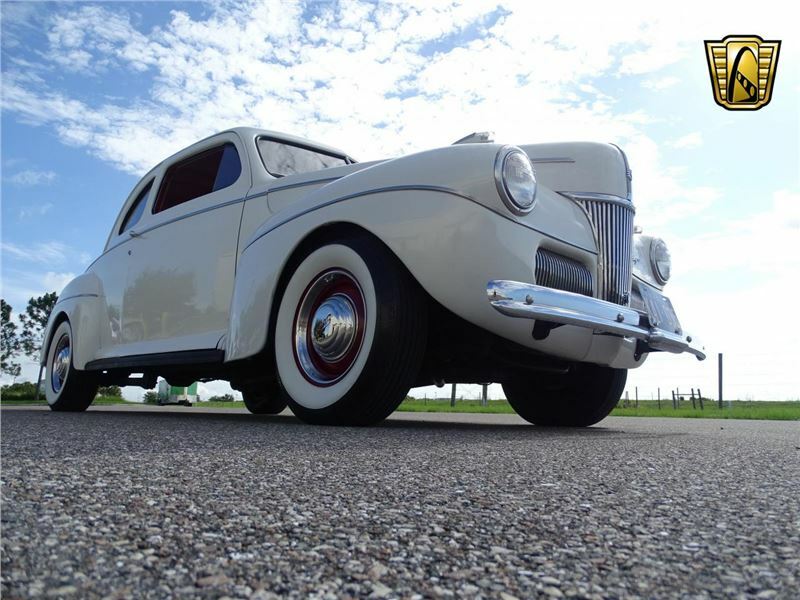 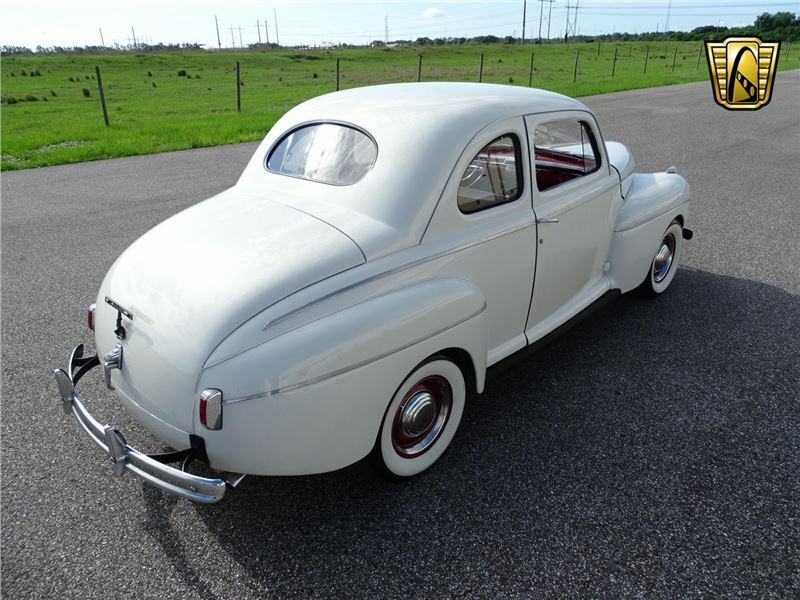 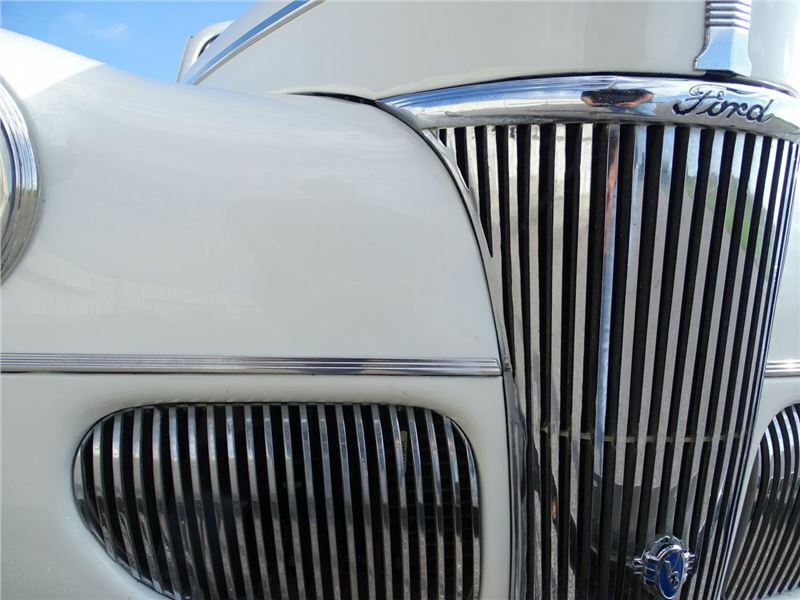 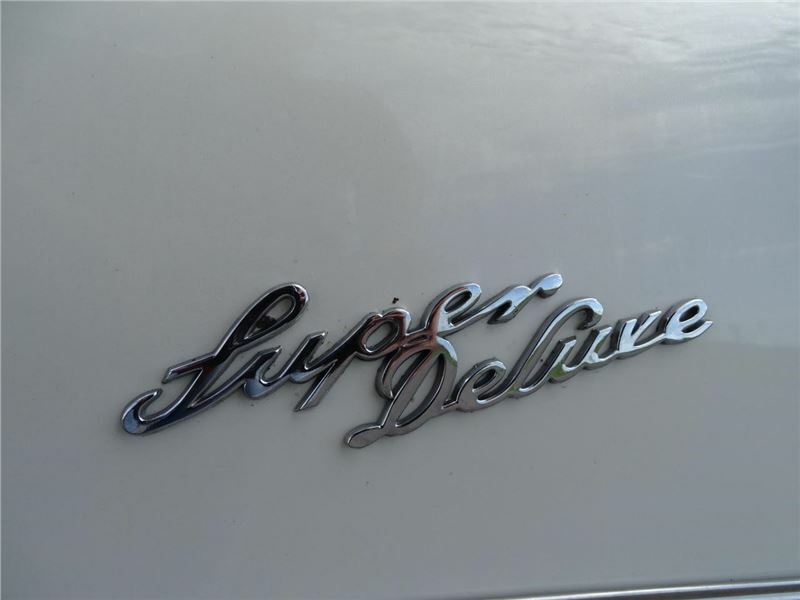 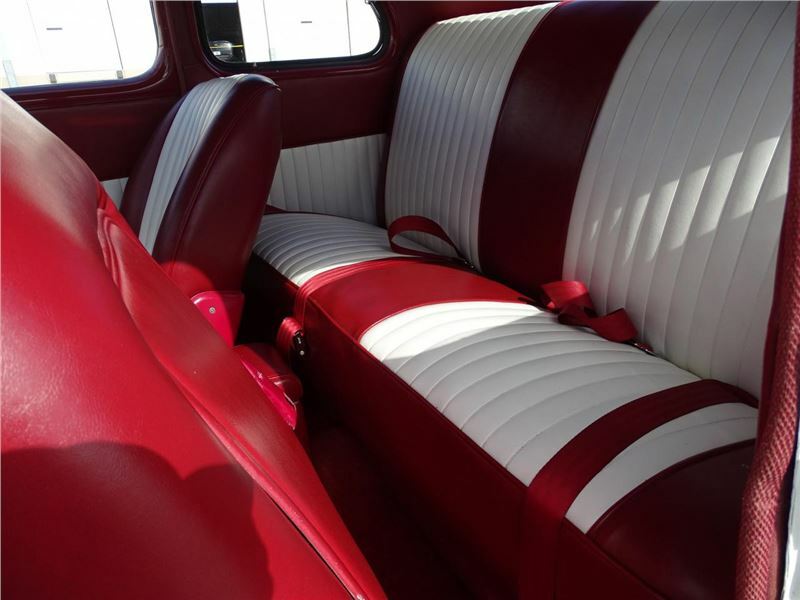 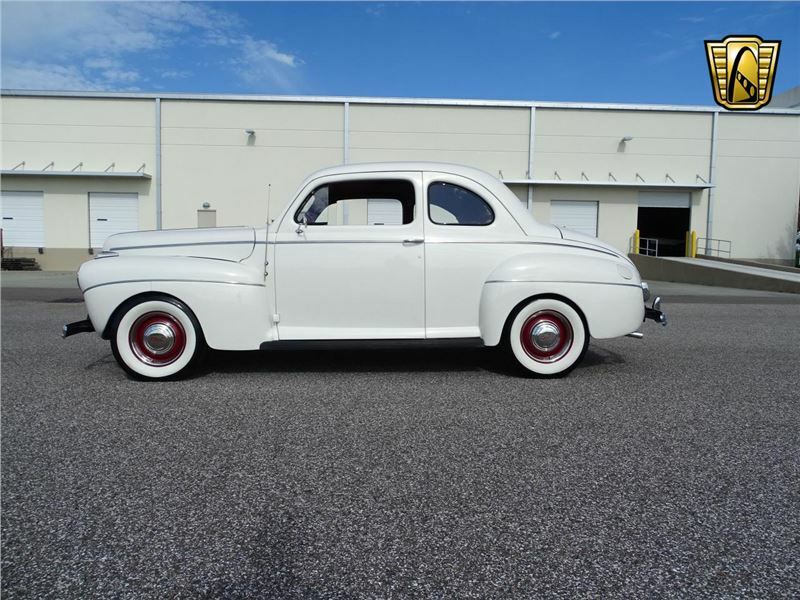 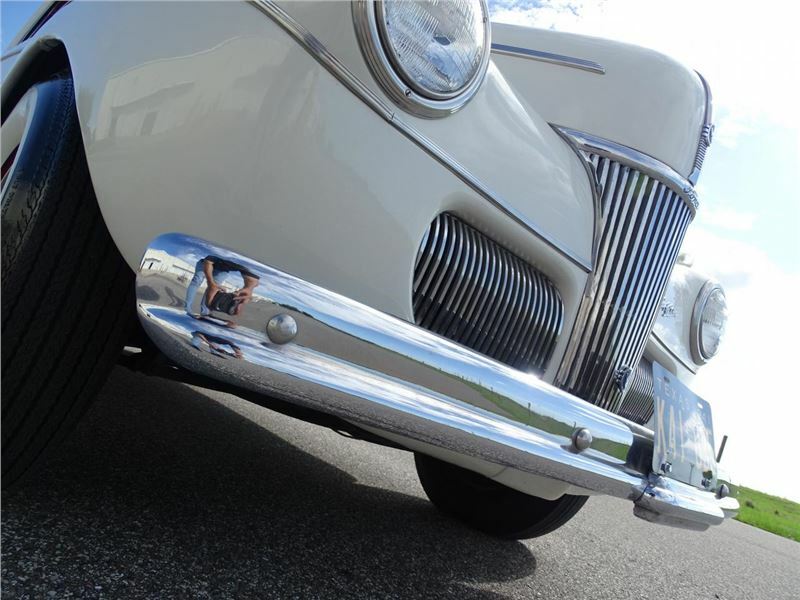 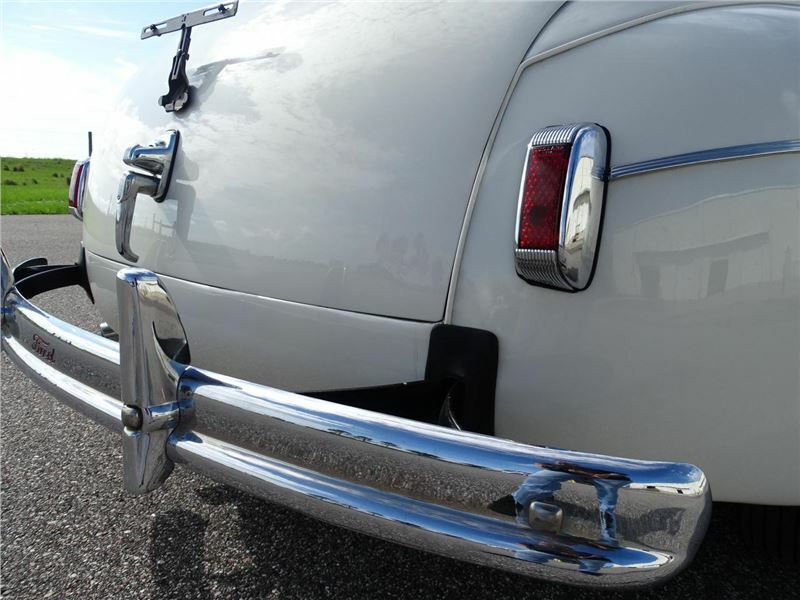 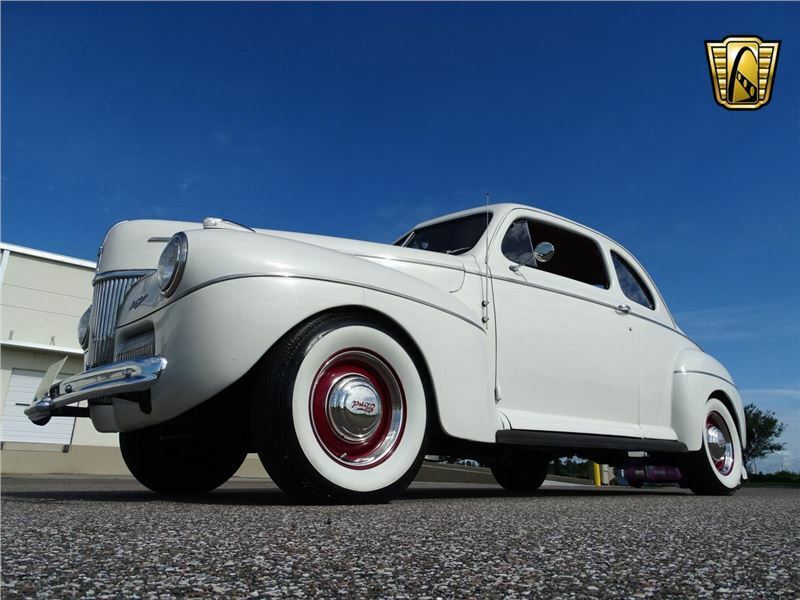 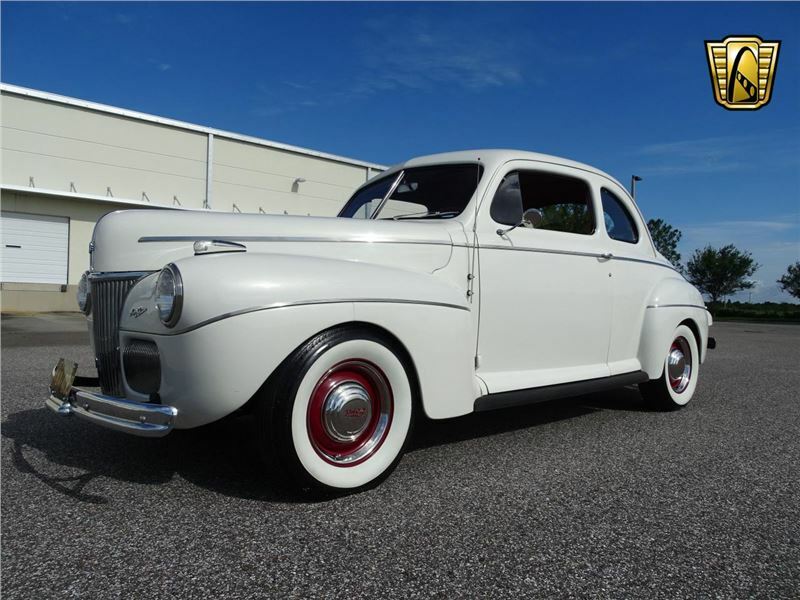 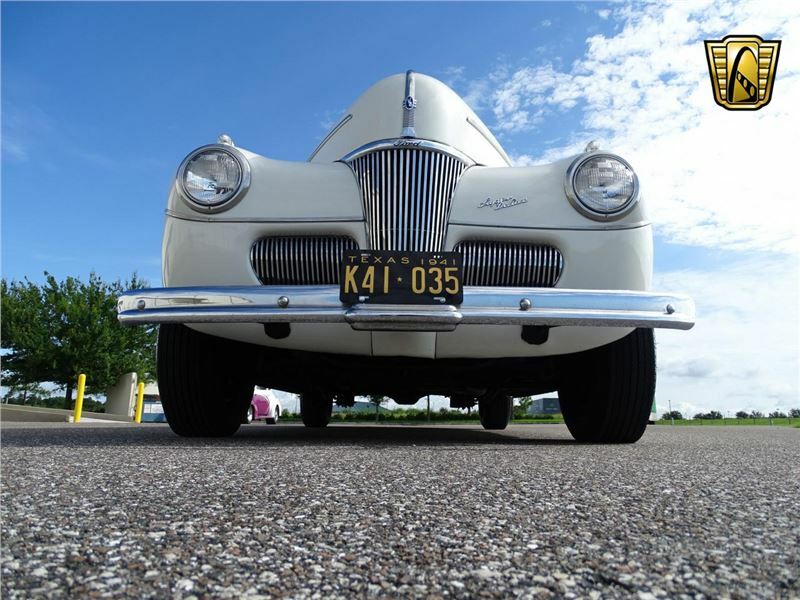 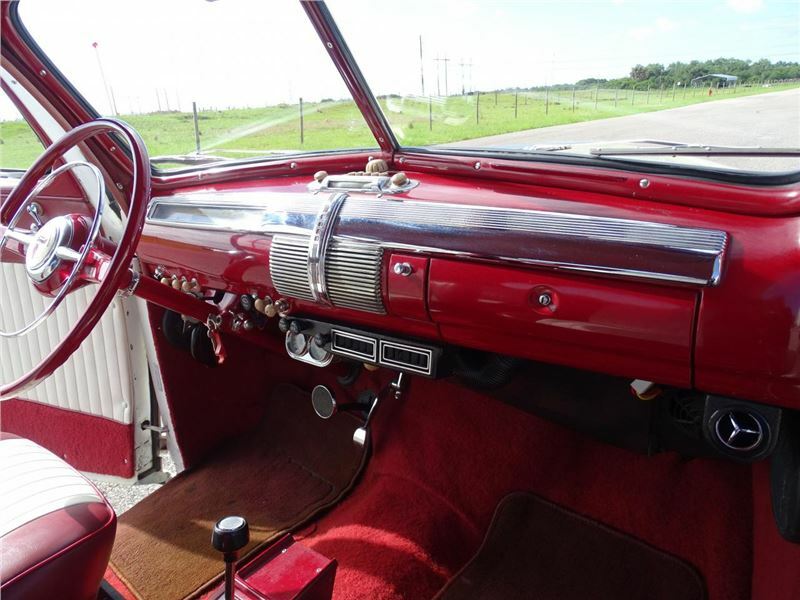 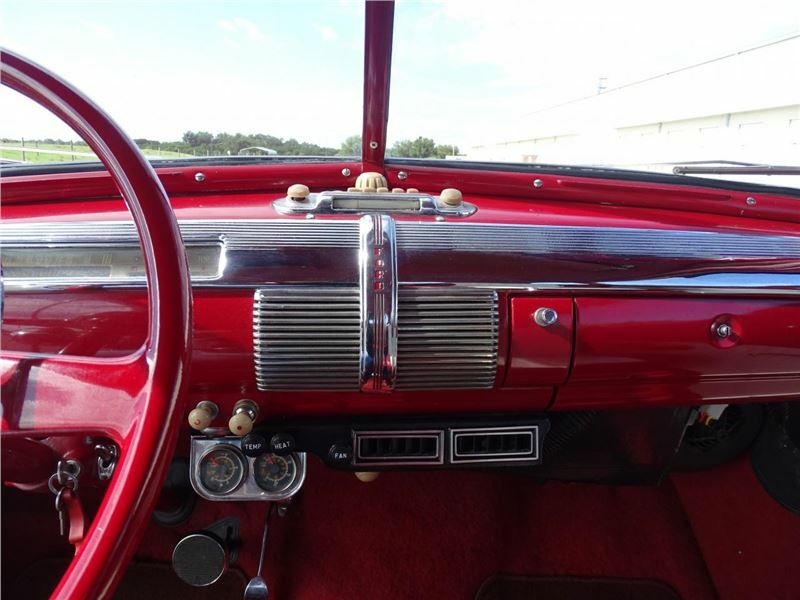 Gateway Classic Cars of Tampa is excited to offer this sharp 1941 Ford Super Deluxe. 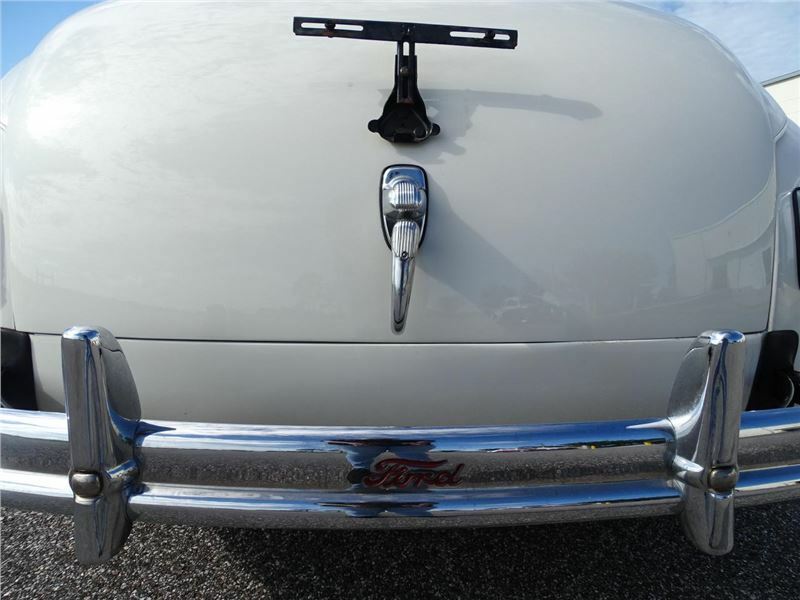 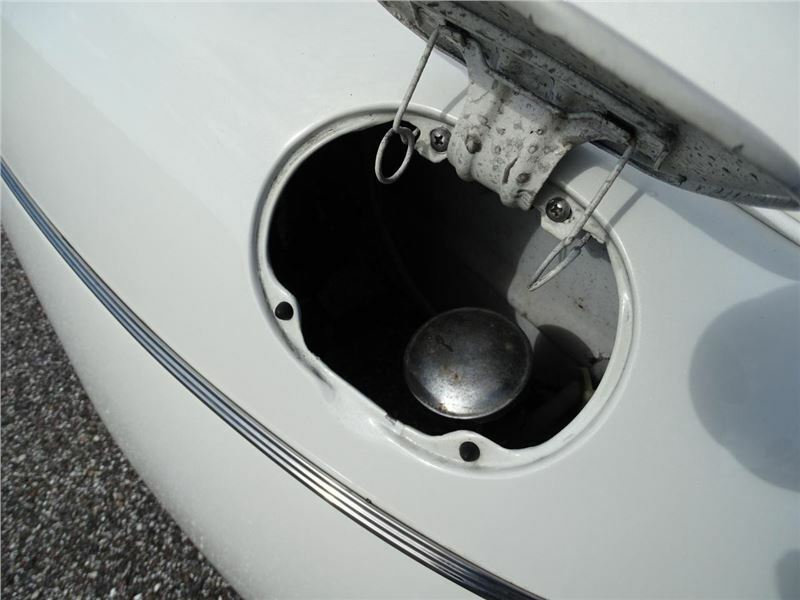 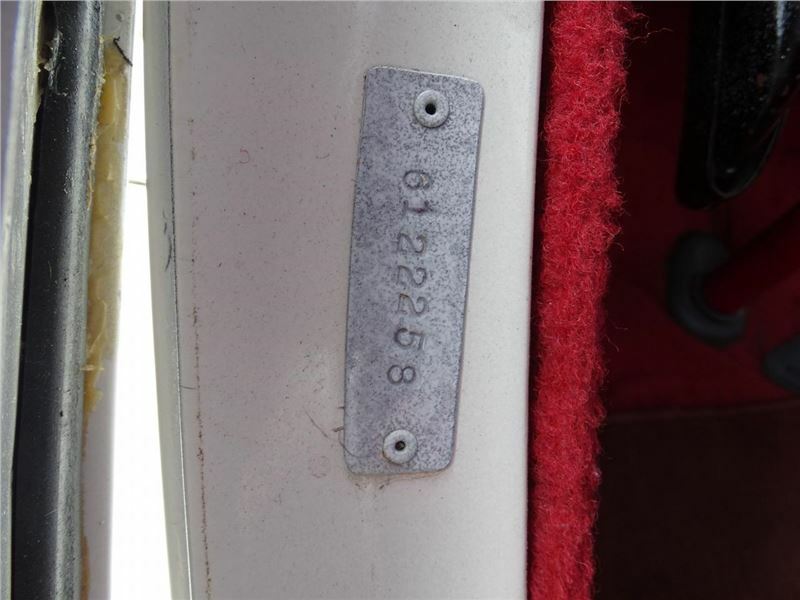 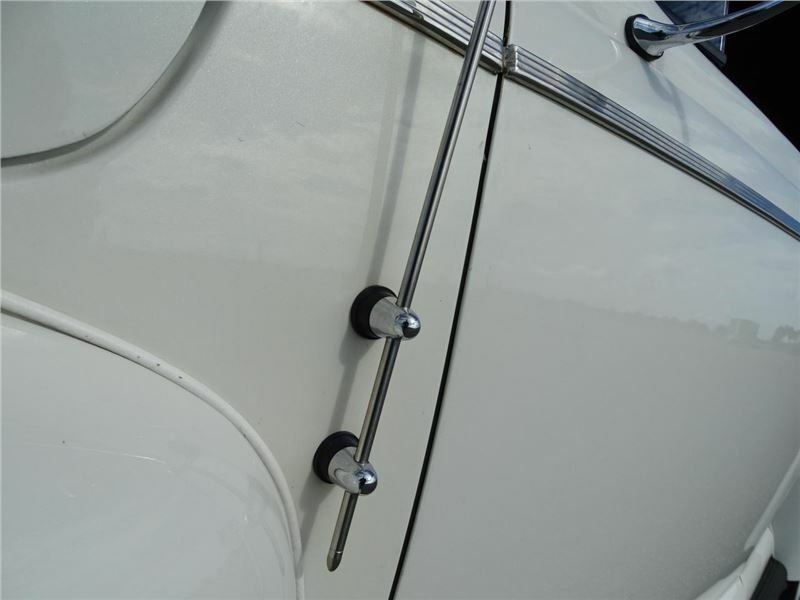 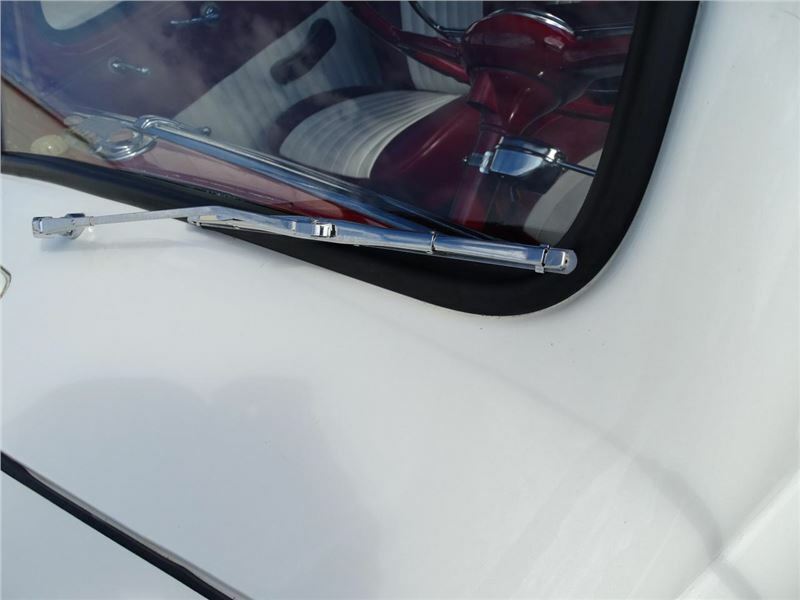 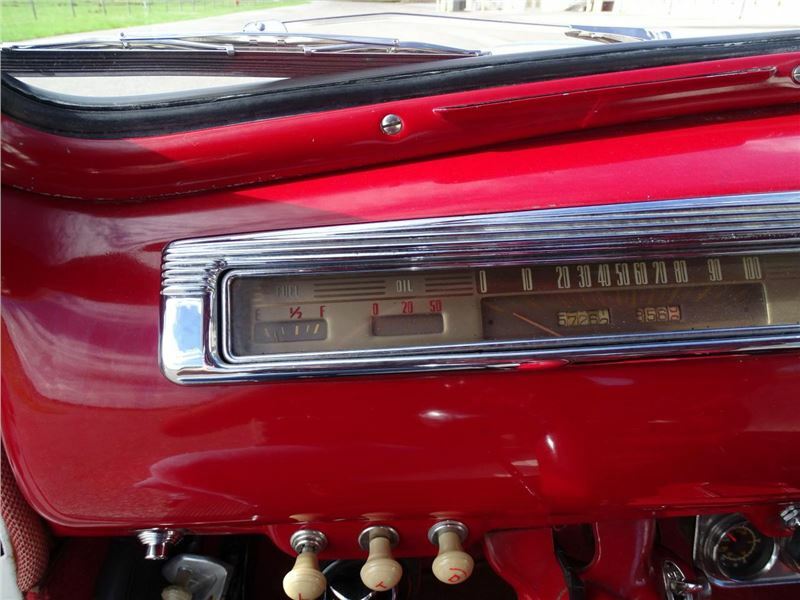 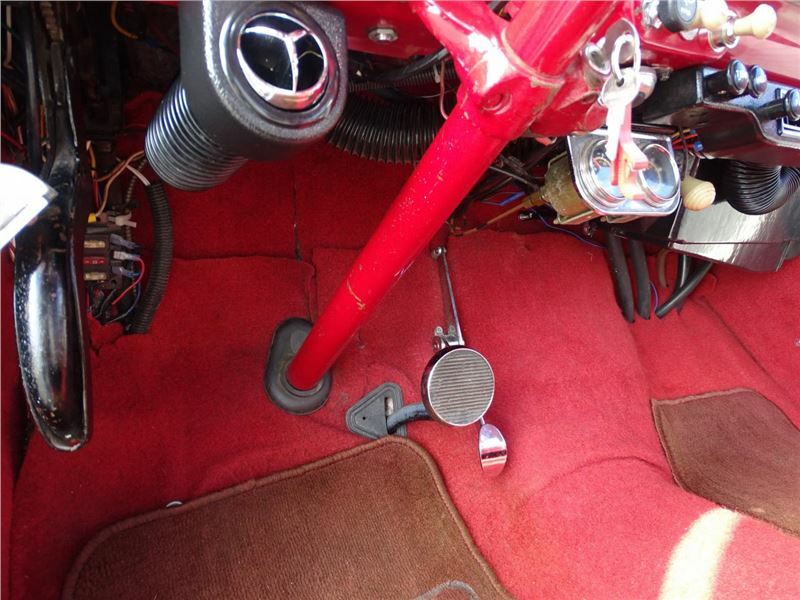 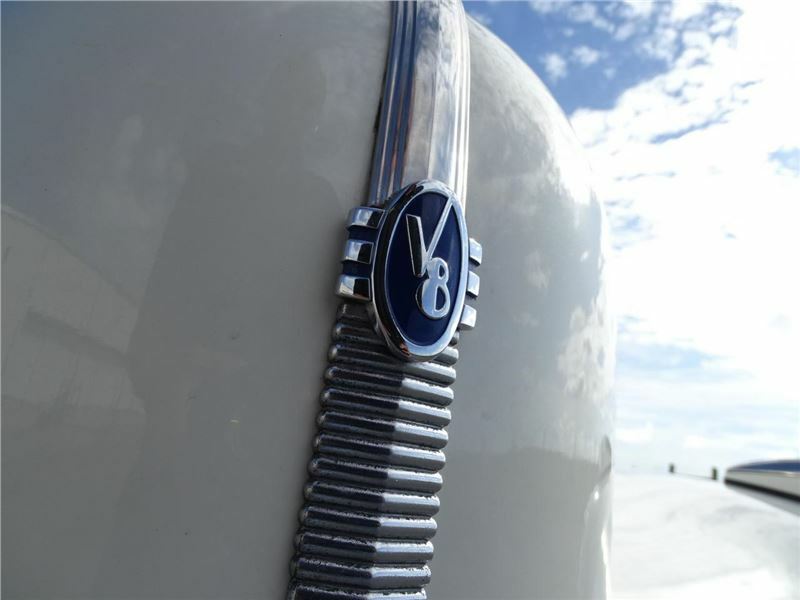 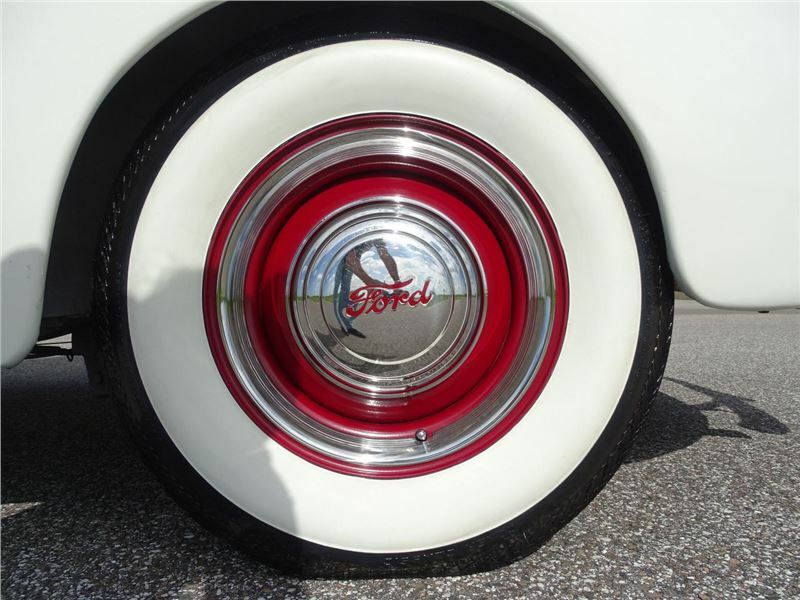 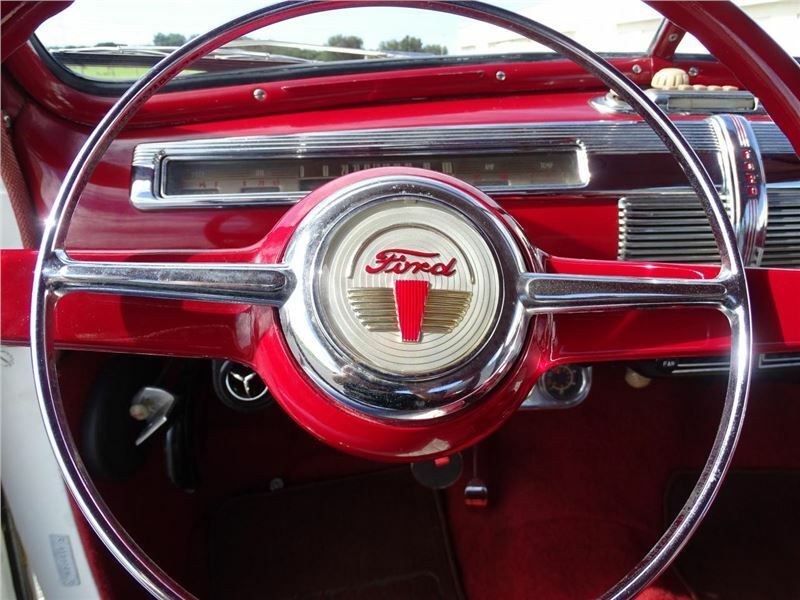 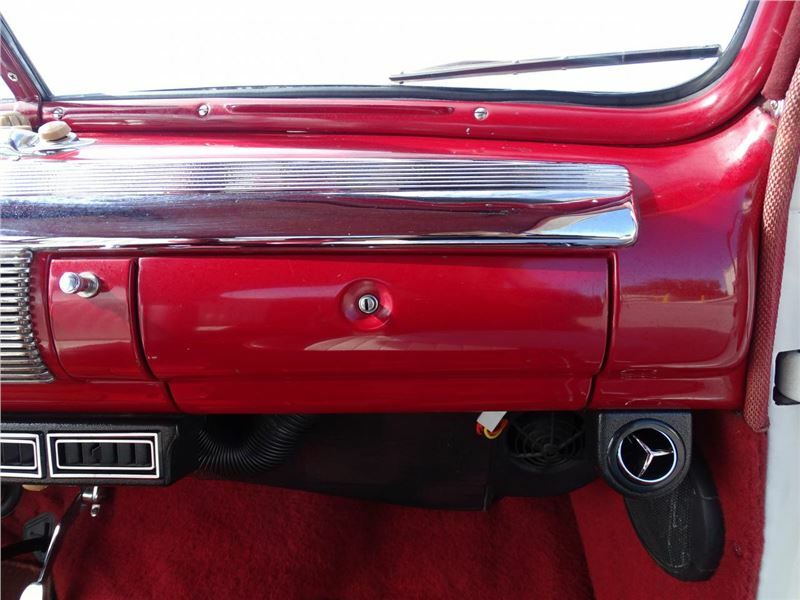 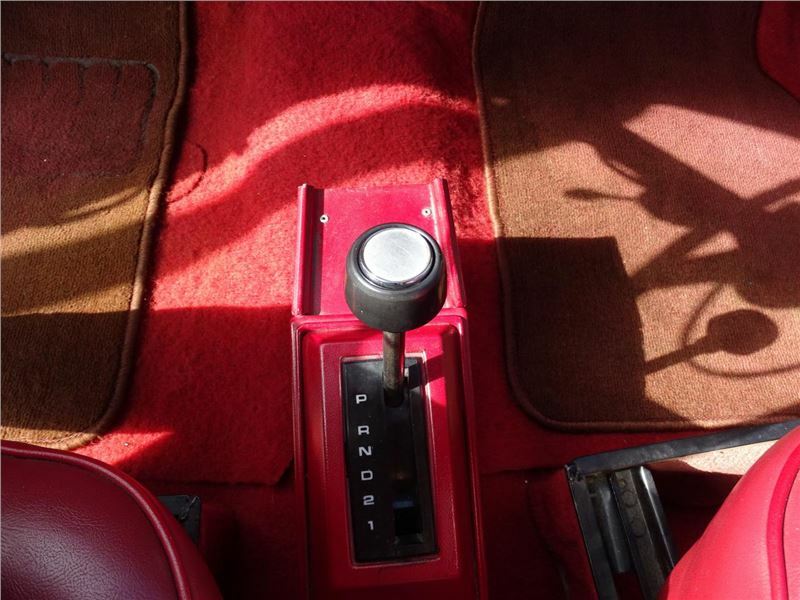 This piece of Ford history is turn key and ready to be enjoyed. 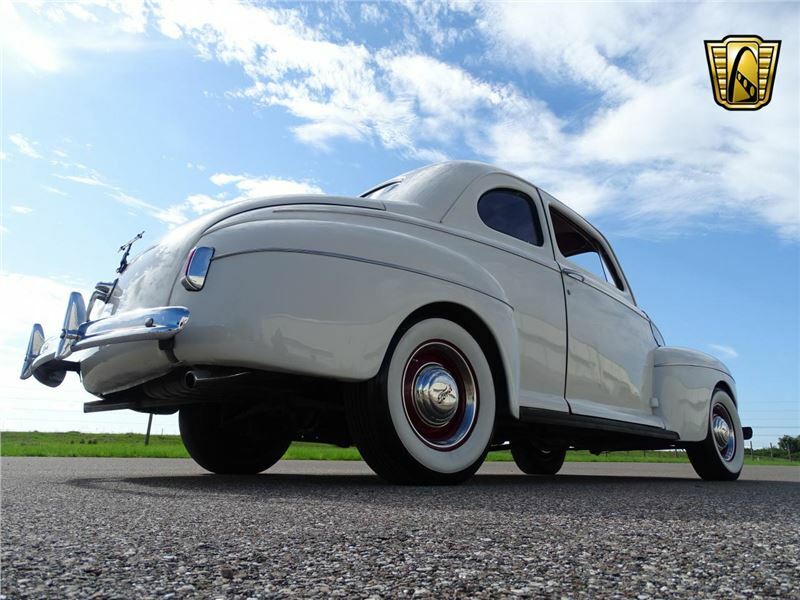 This car turns heads constantly when cruising down the street. 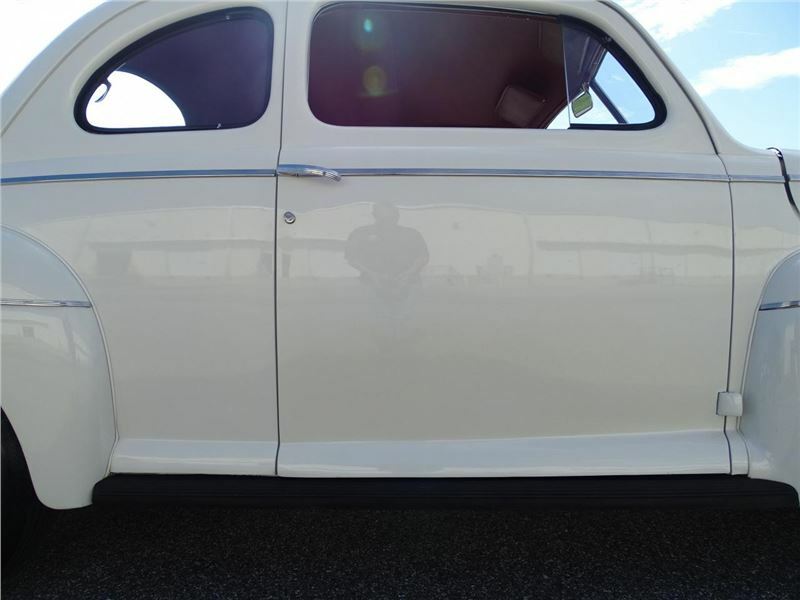 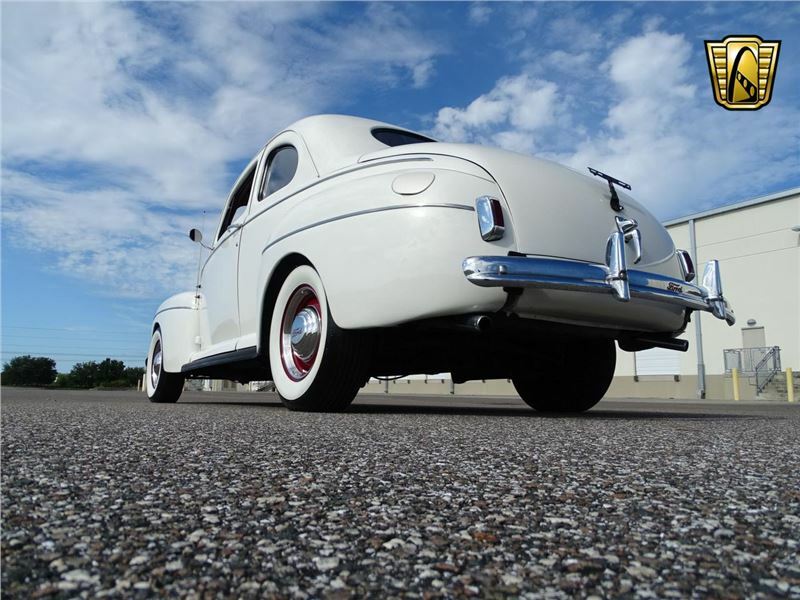 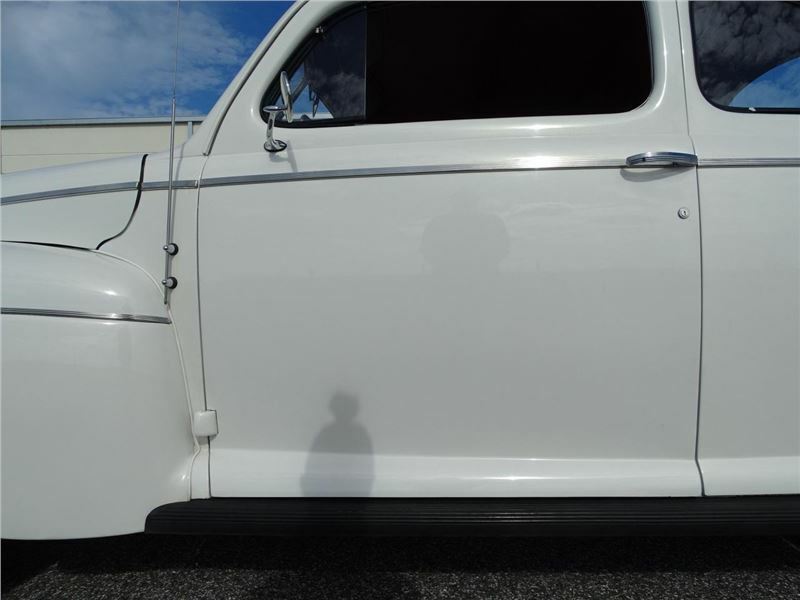 This 1941 Ford is painted in Lincoln White Chocolate paint and was repainted about 3 years ago. 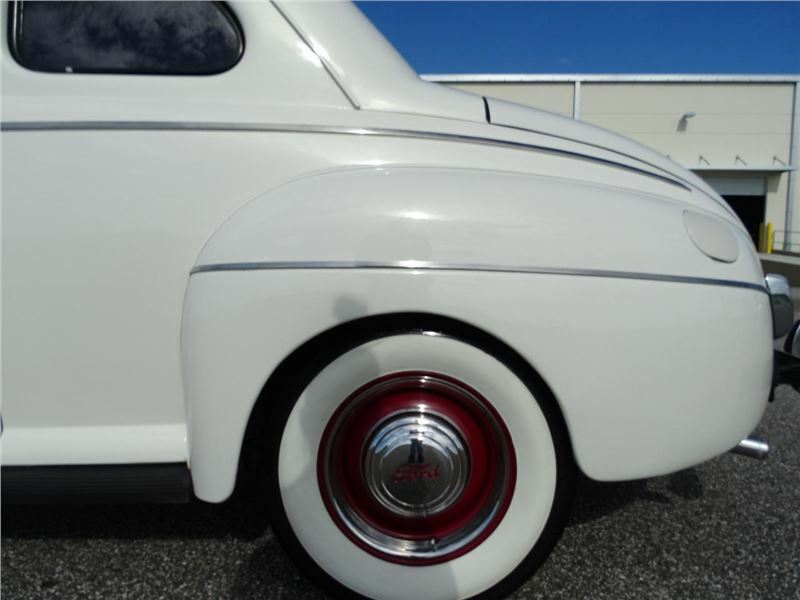 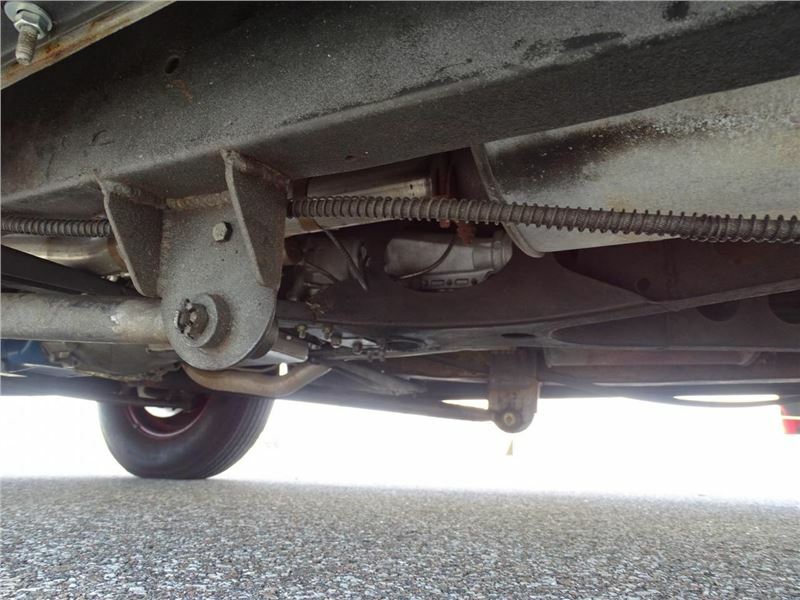 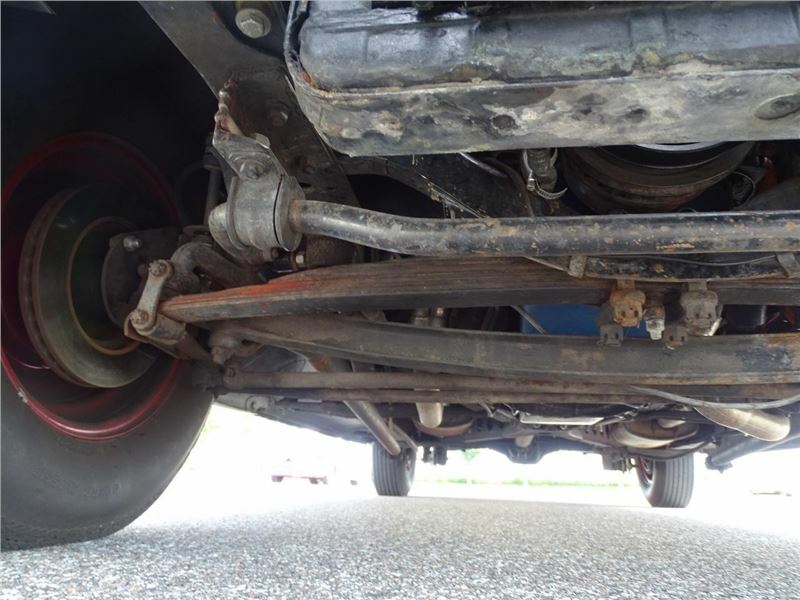 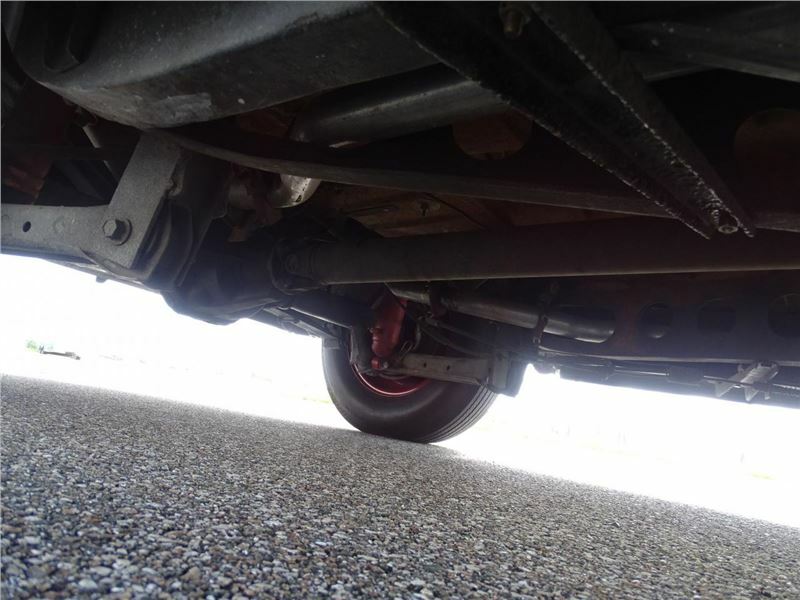 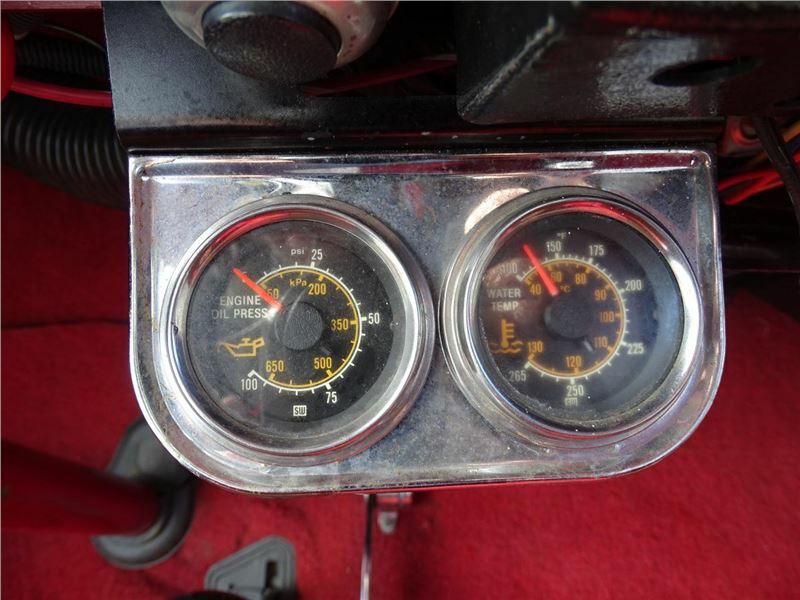 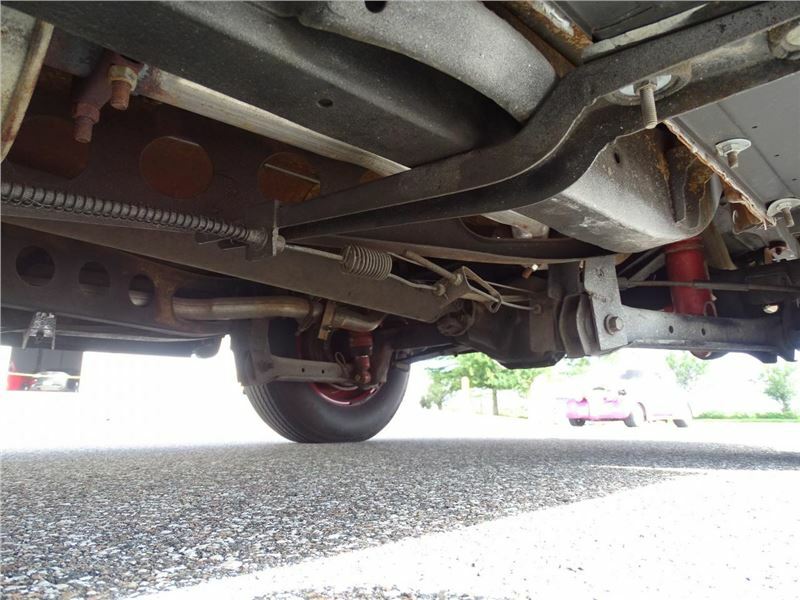 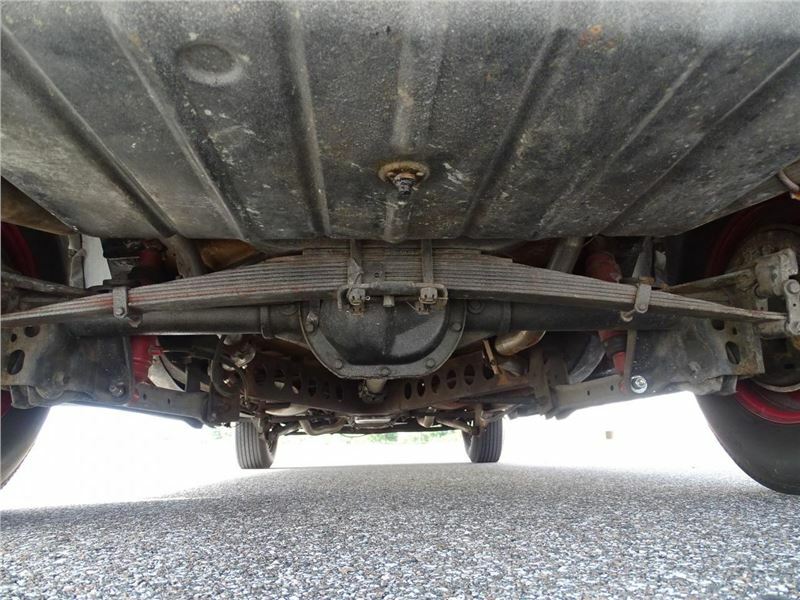 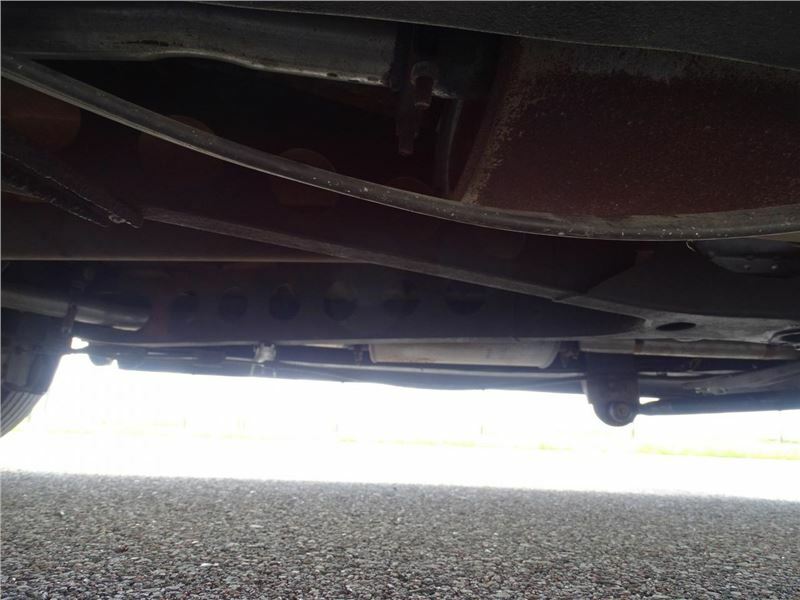 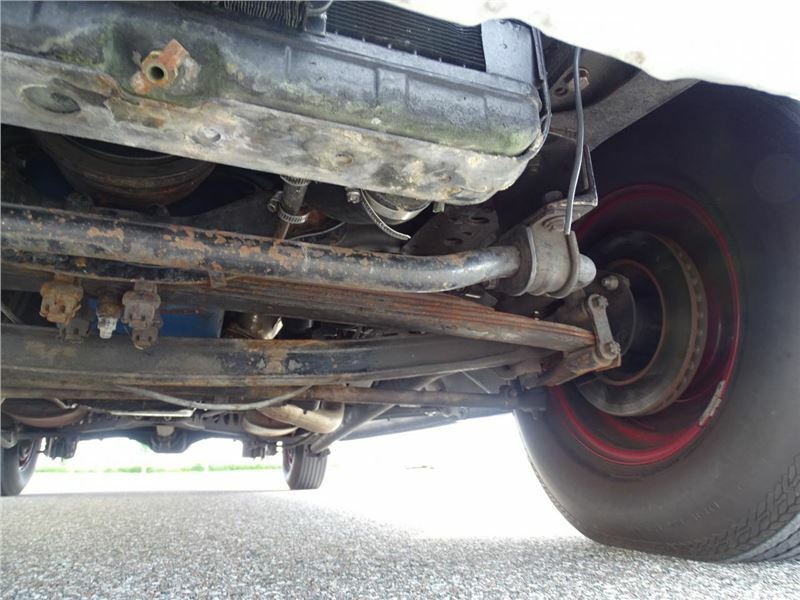 It is claimed to be owned by the previous owner for 25 years and kept all original until it was redone and professionally street rodded about 3 years ago. 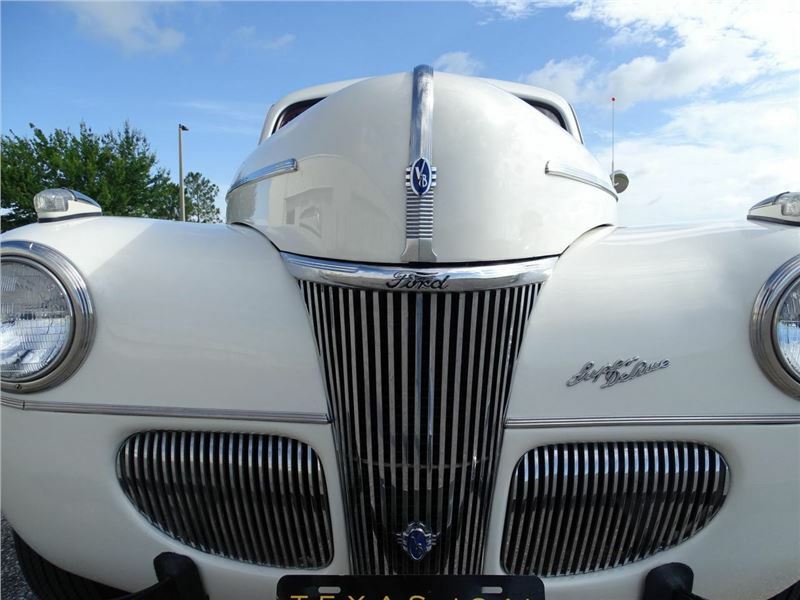 This car comes from Texas before making its way to central Florida. 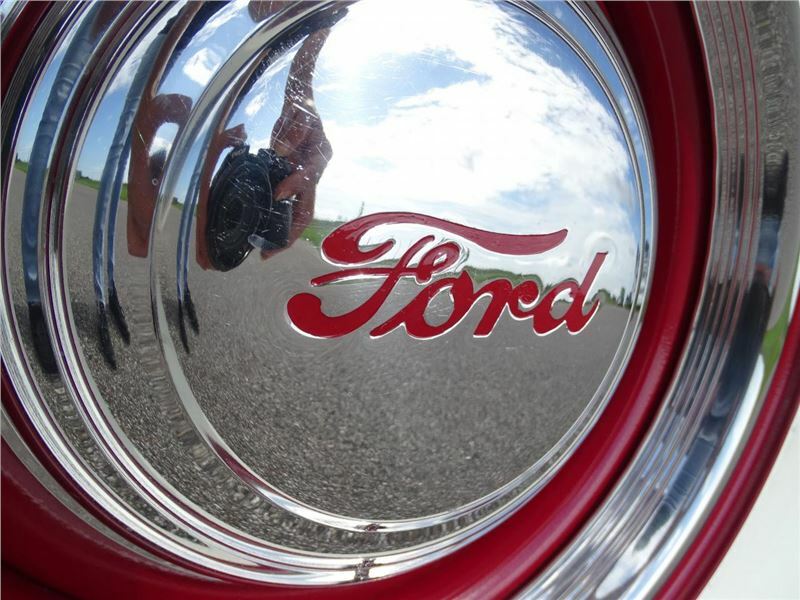 Although it has been rebuilt the Henry Ford steel is still all there and from the 1940’s. 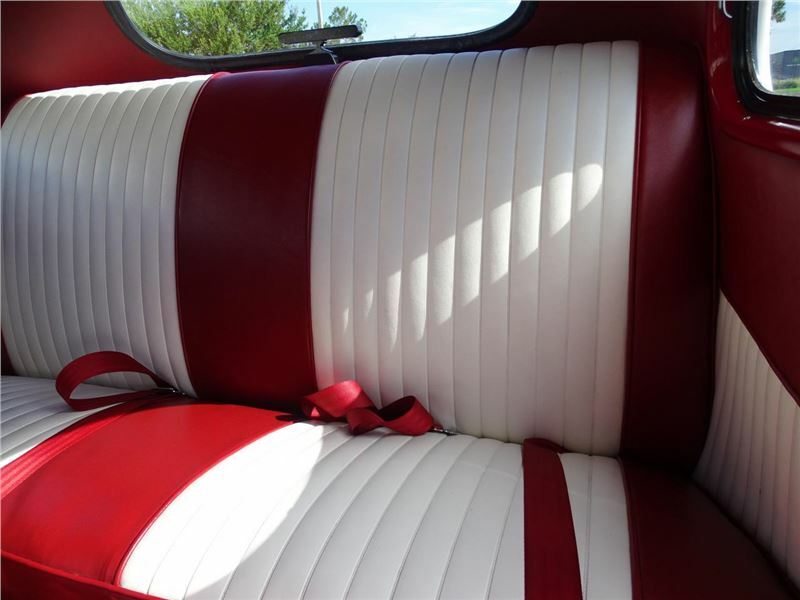 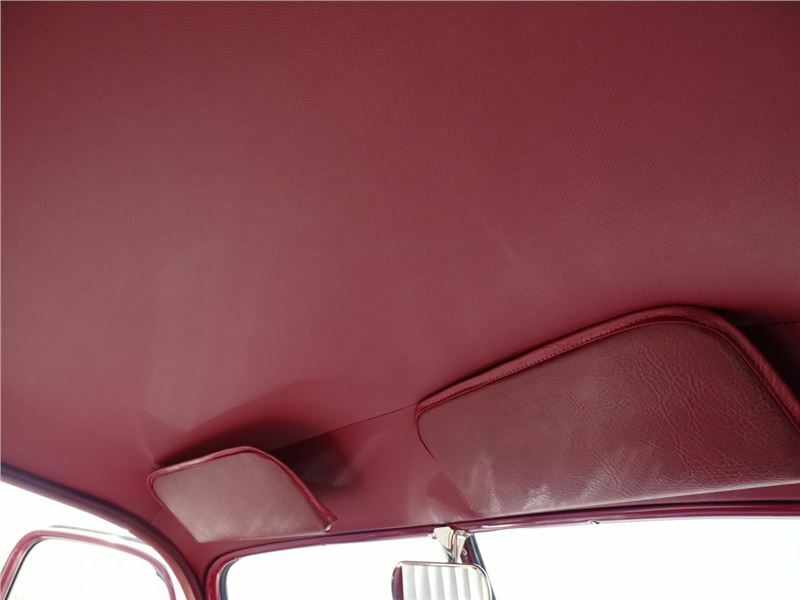 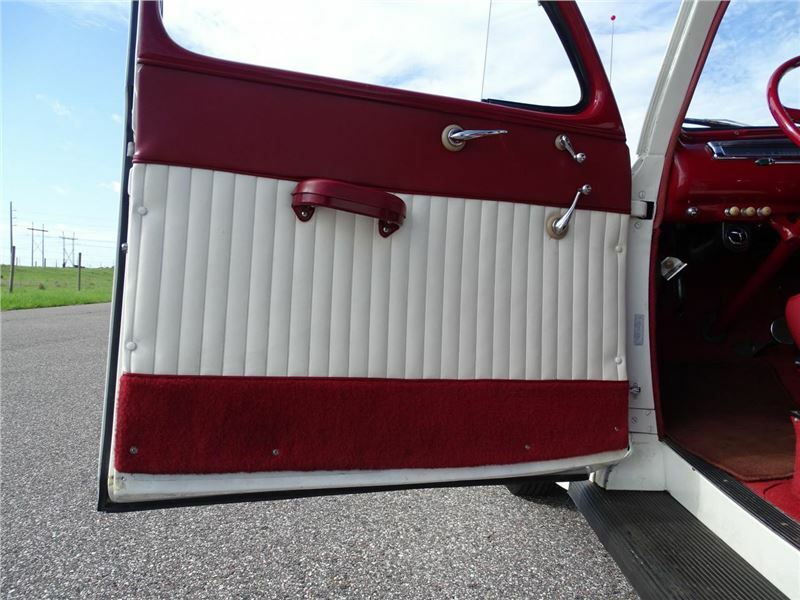 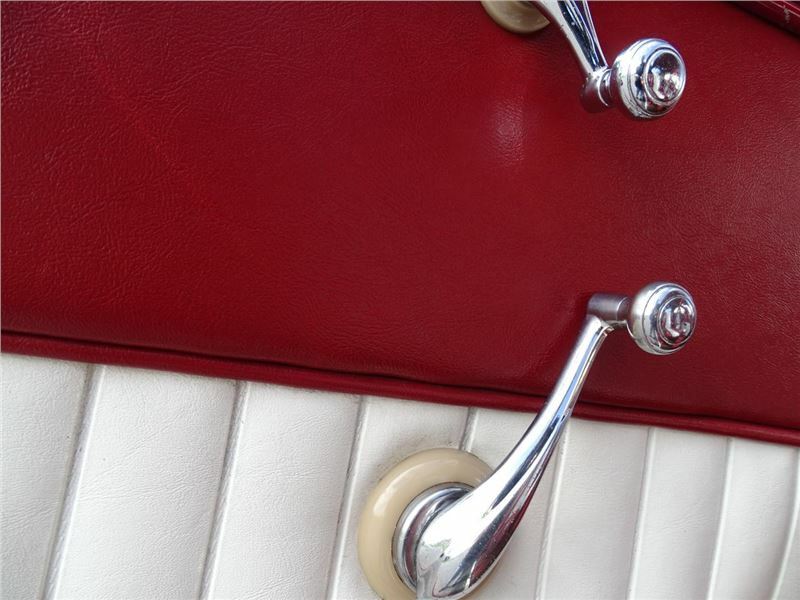 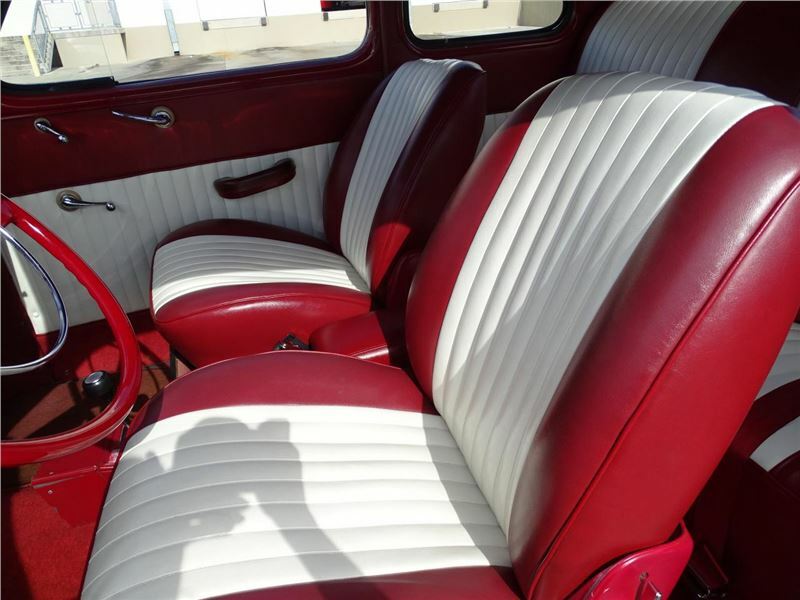 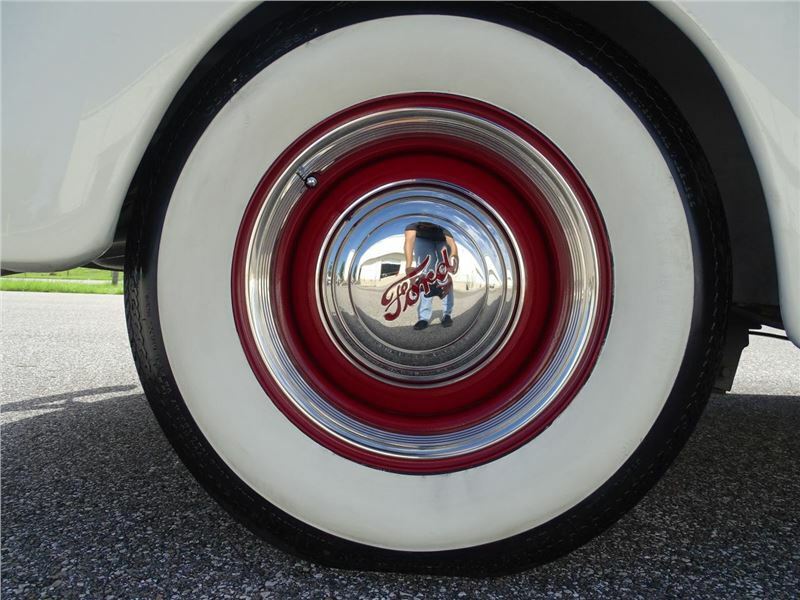 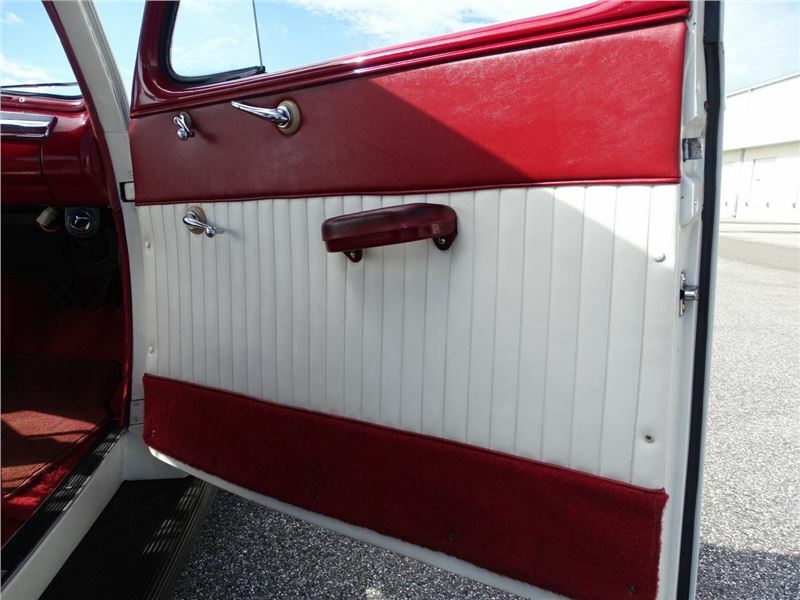 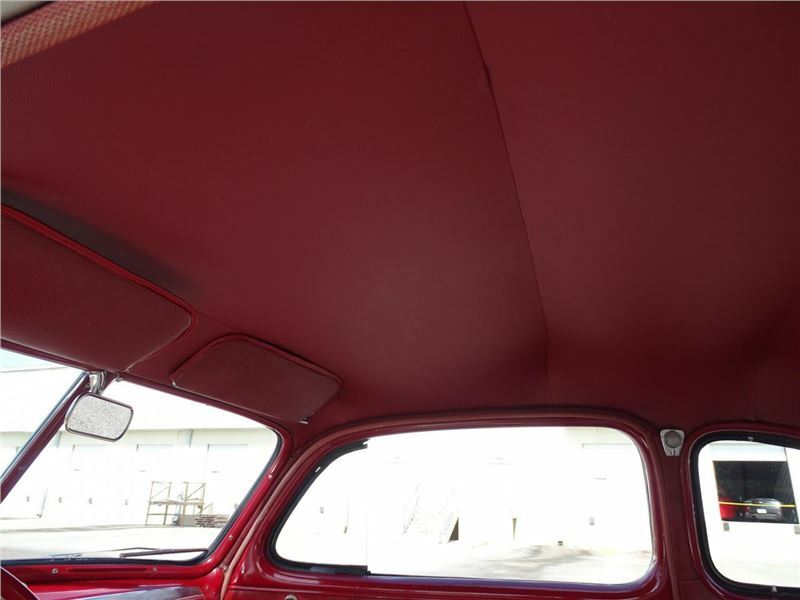 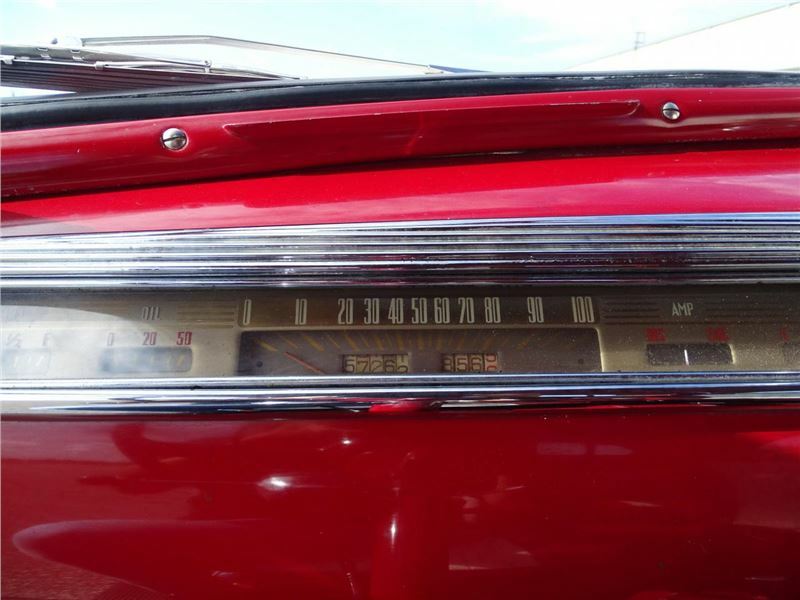 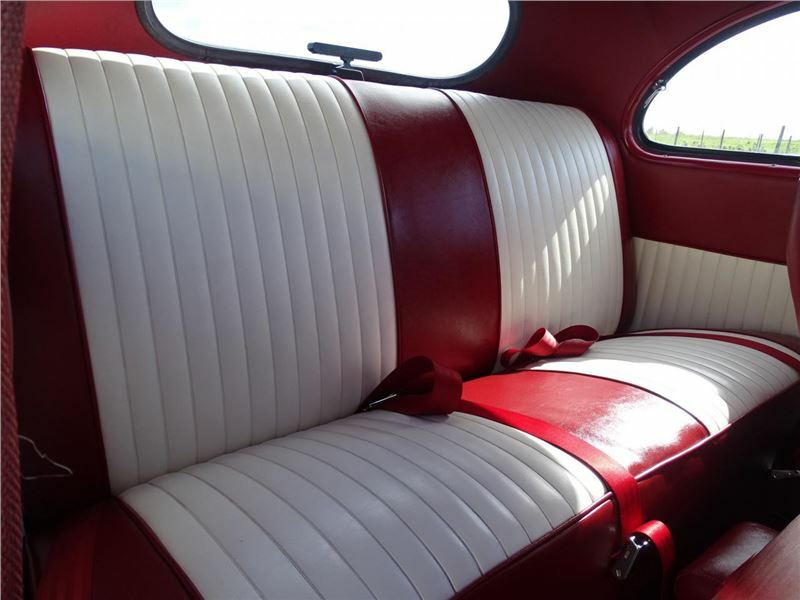 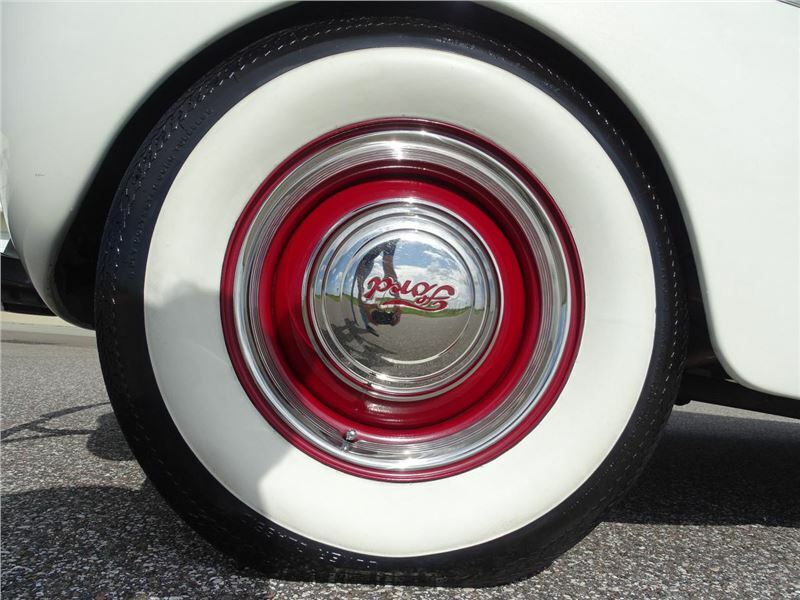 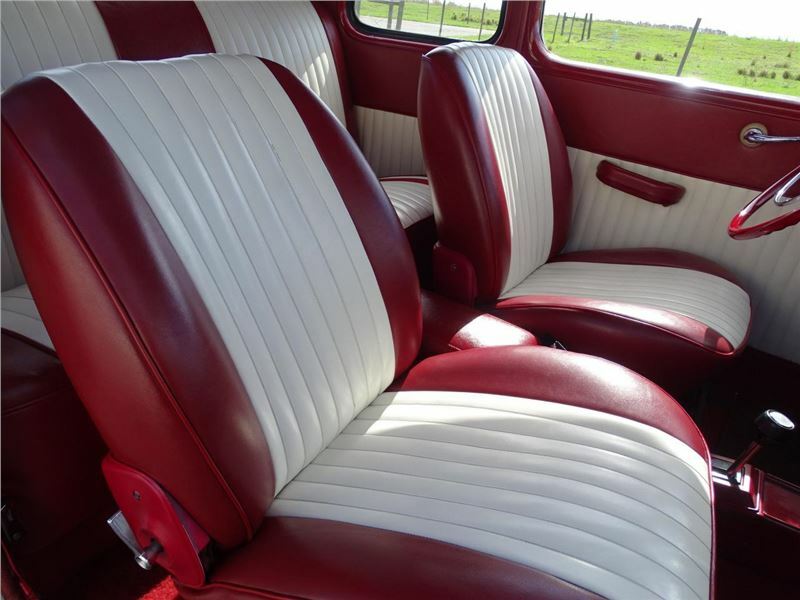 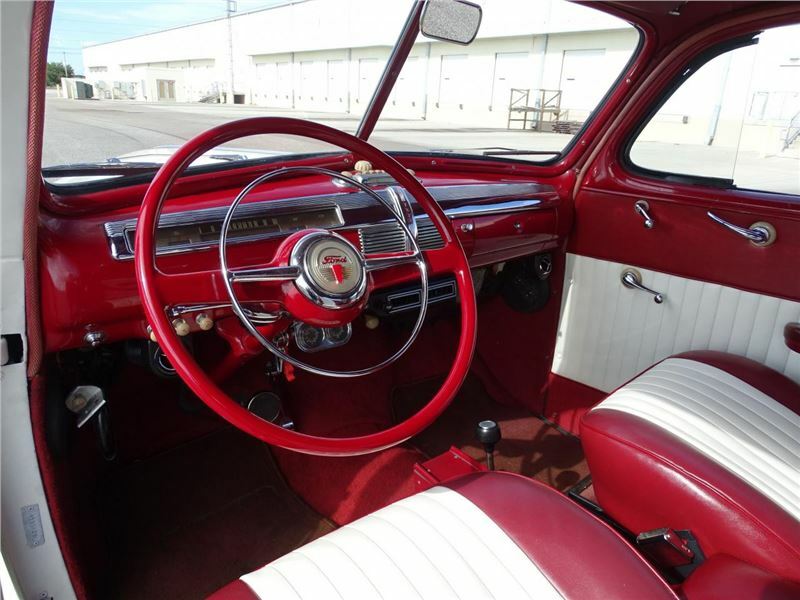 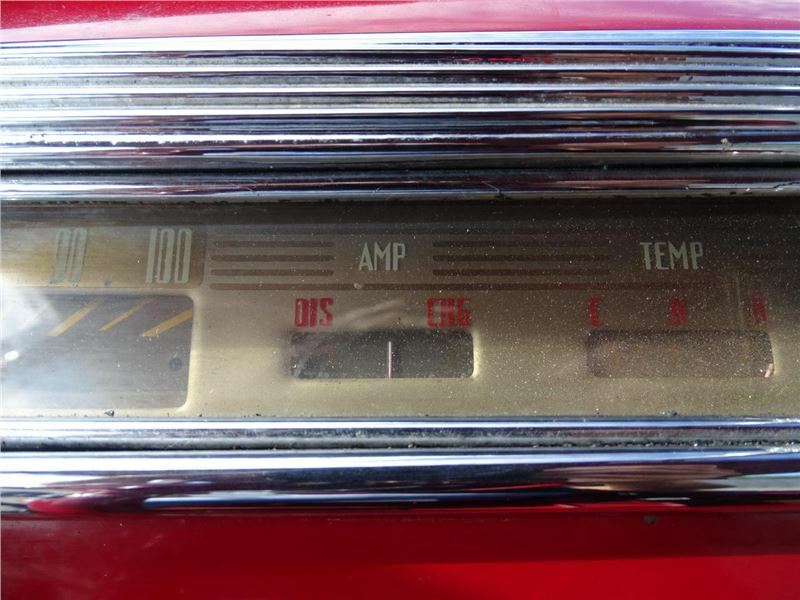 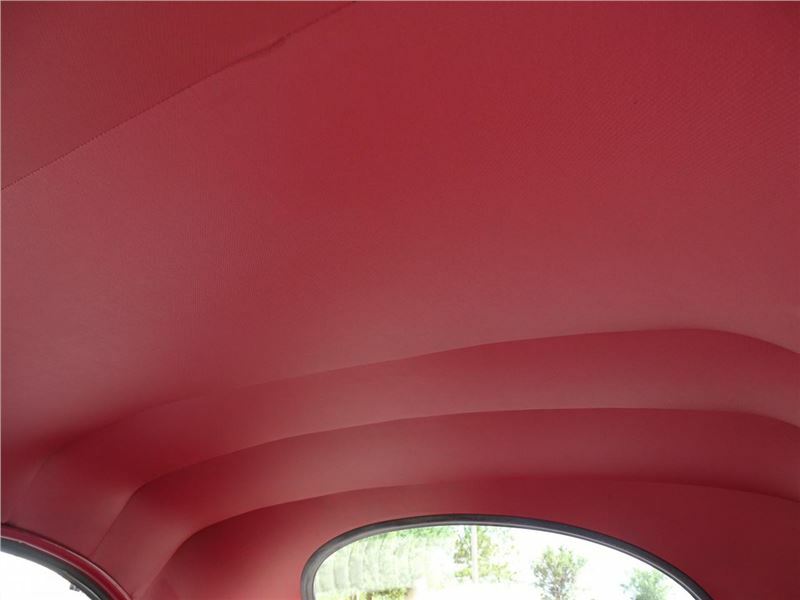 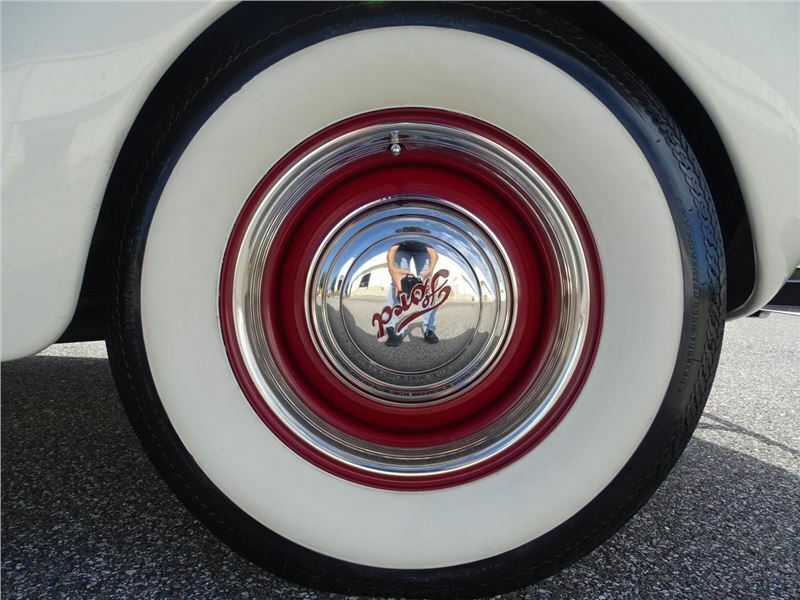 This car was painted in a stylish red and white scheme with red interior that almost has a candy cane feel which brings you back to a much simpler time like when the car first rolled off the assembly line. 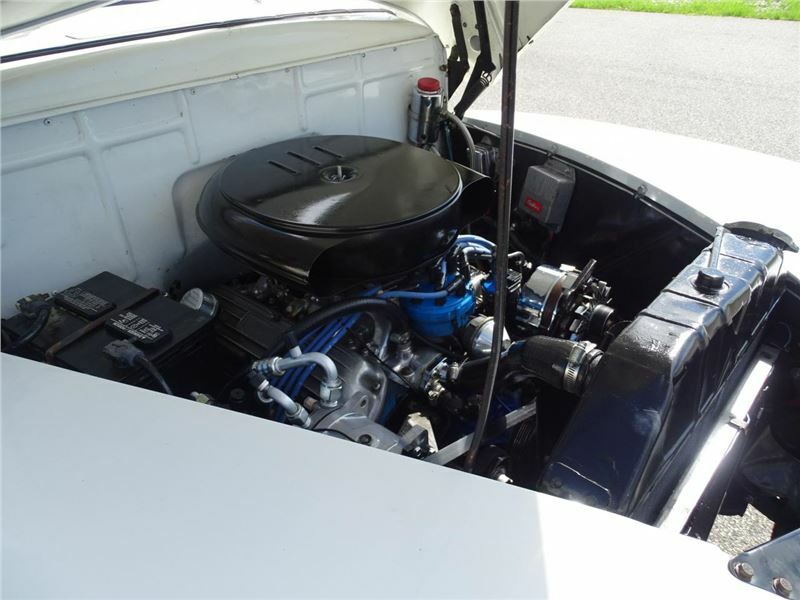 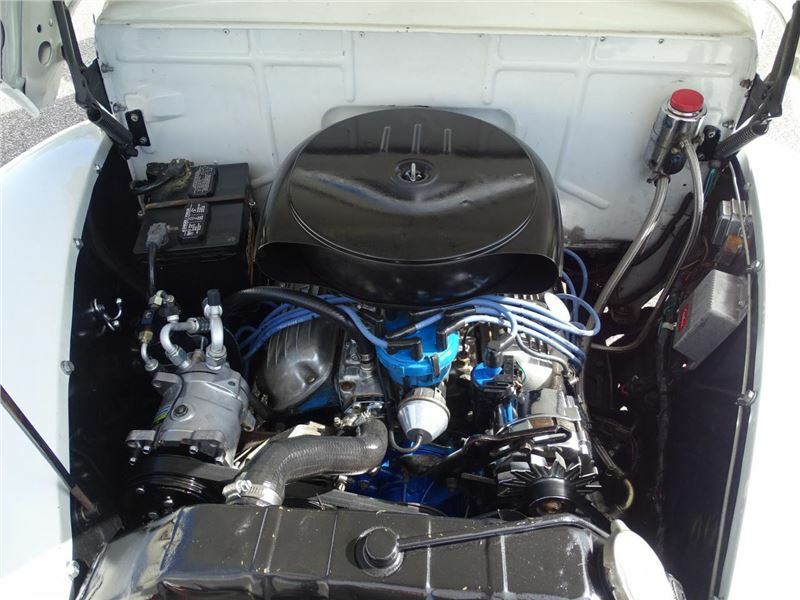 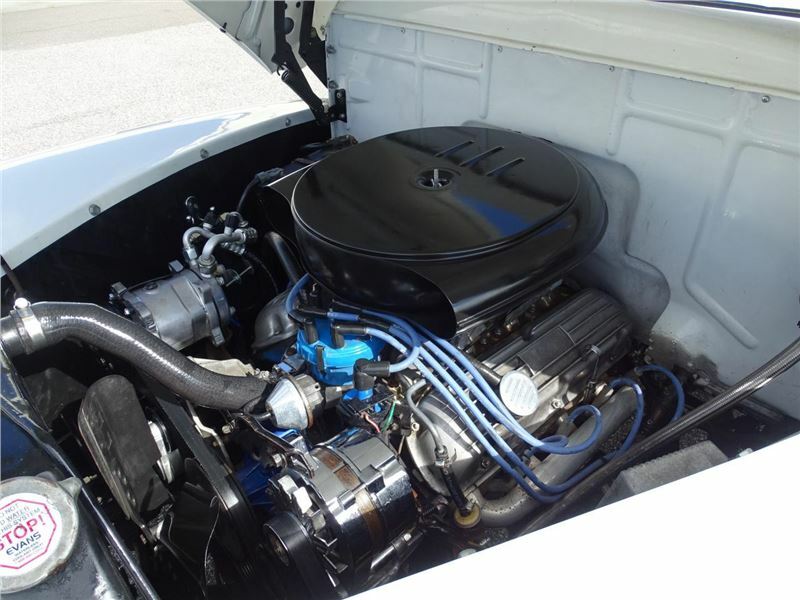 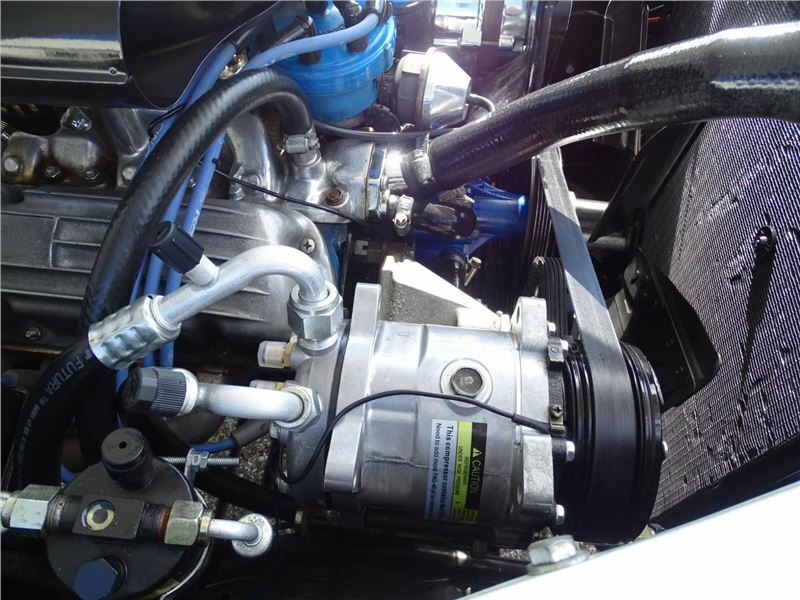 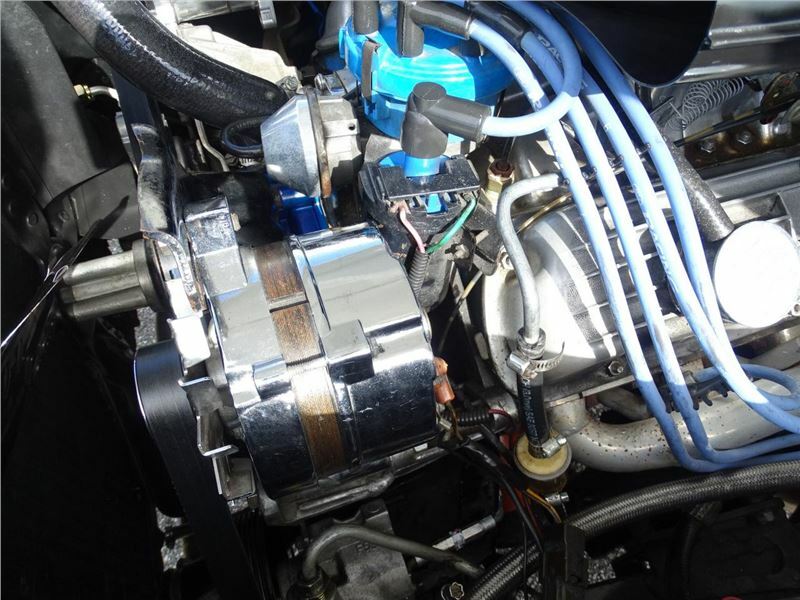 This car has a rebuilt 1979 302 V8 engine and a Ford 3 speed C4 transmission that runs and drives great. 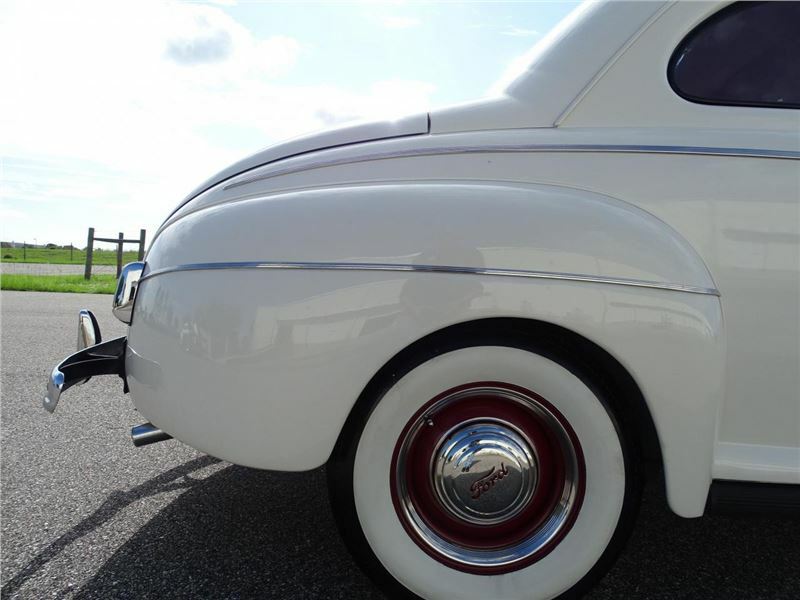 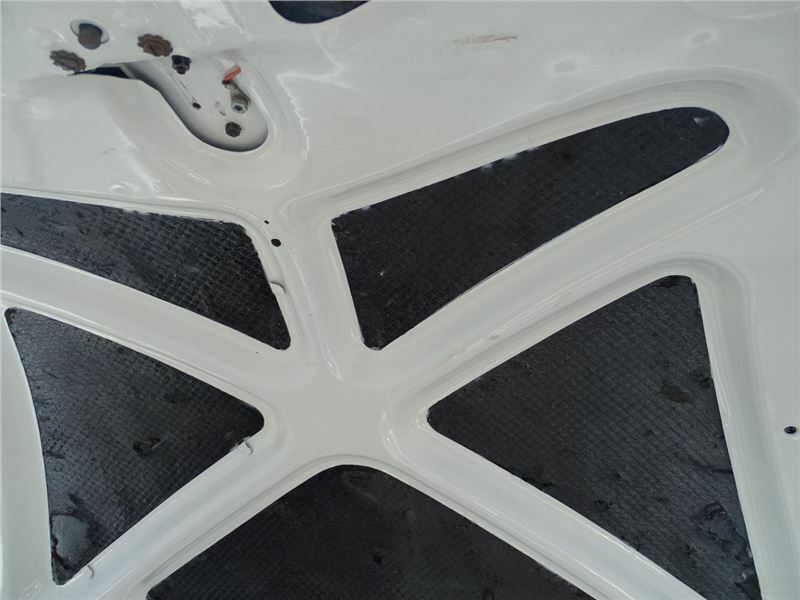 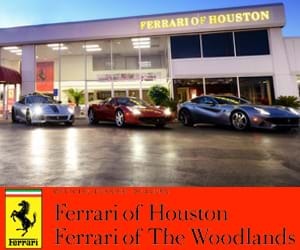 It is a perfect driver quality car that you can enjoy driving or even take to shows and really turn some heads. 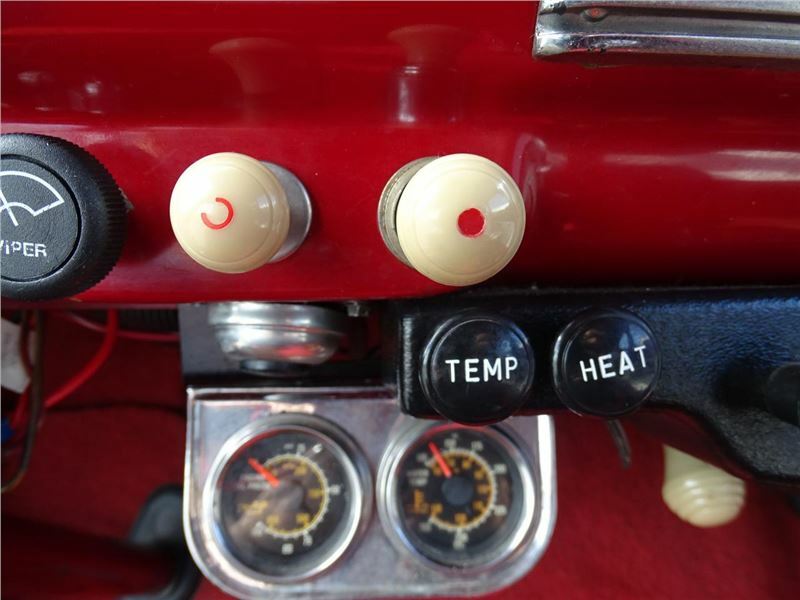 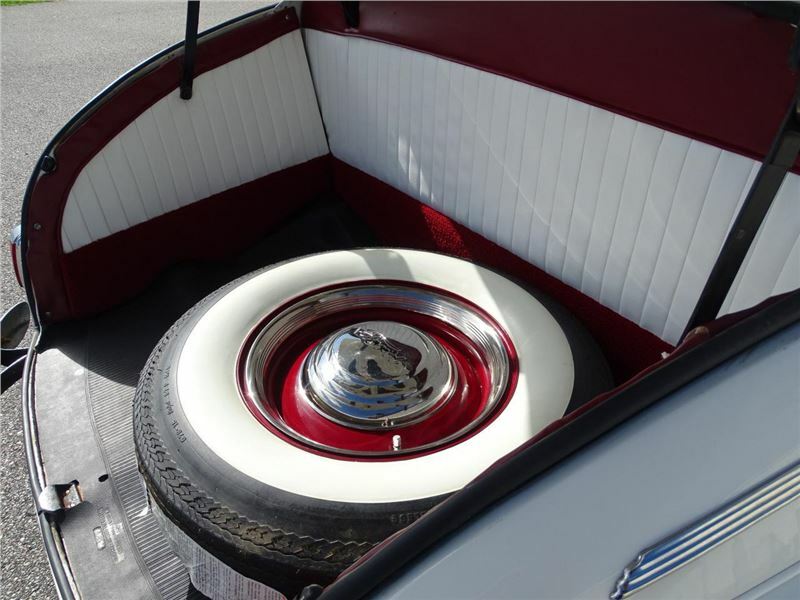 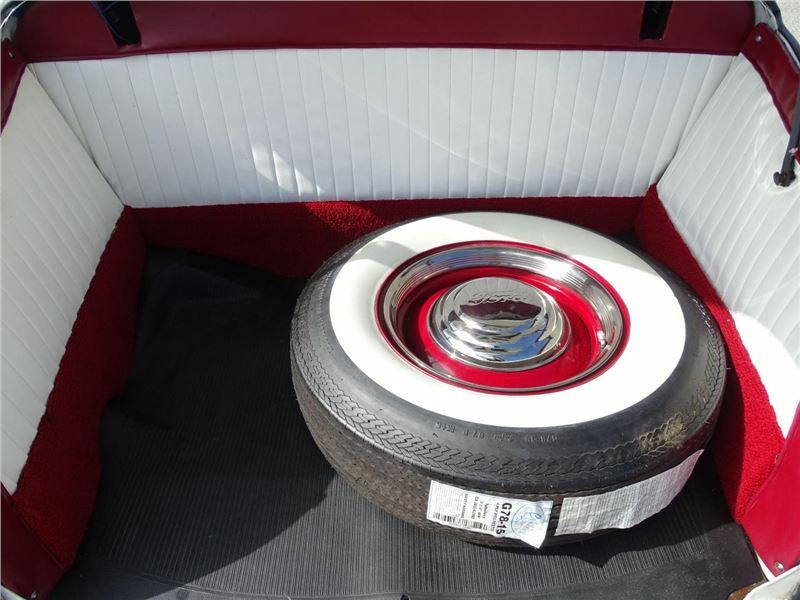 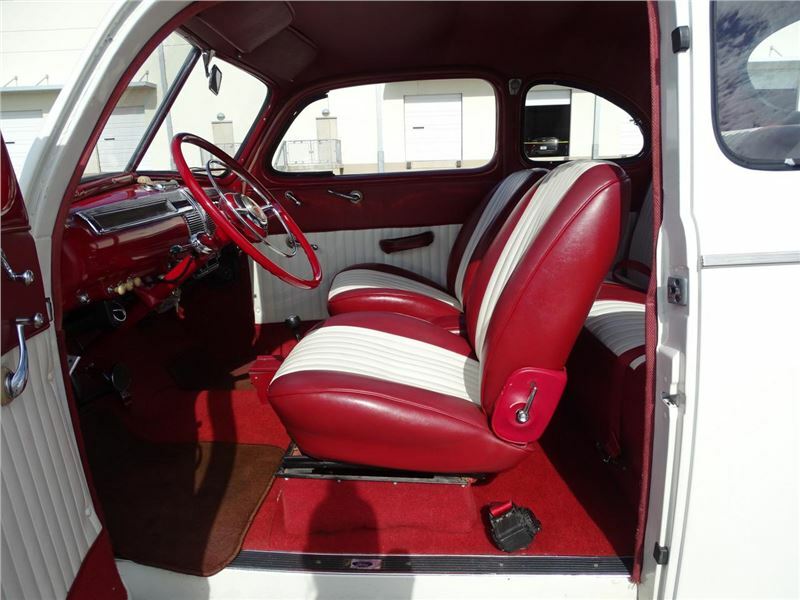 Options on this 40’s Ford include A/C, Hub Caps, seat belts, white wall tires, vinyl interior, power steering, and even the classic bias ply tires. 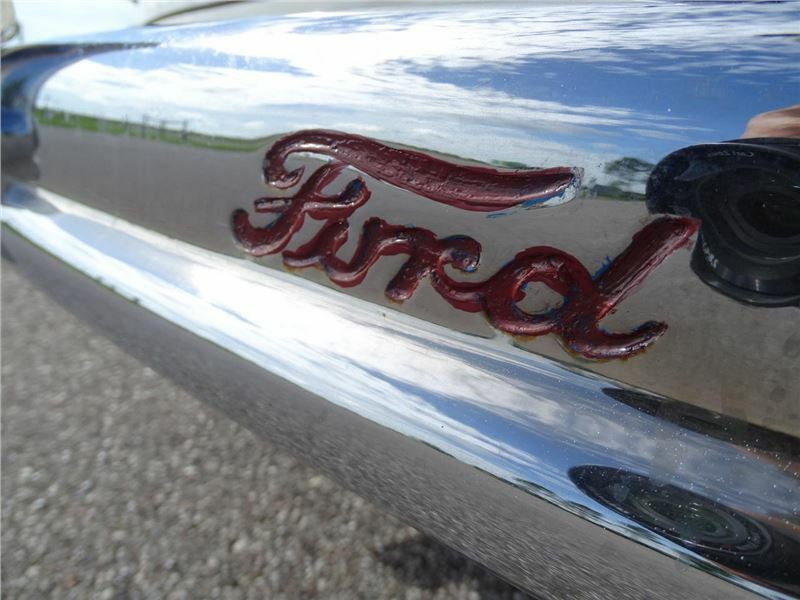 Do not let this piece of American Ford history pass you by. 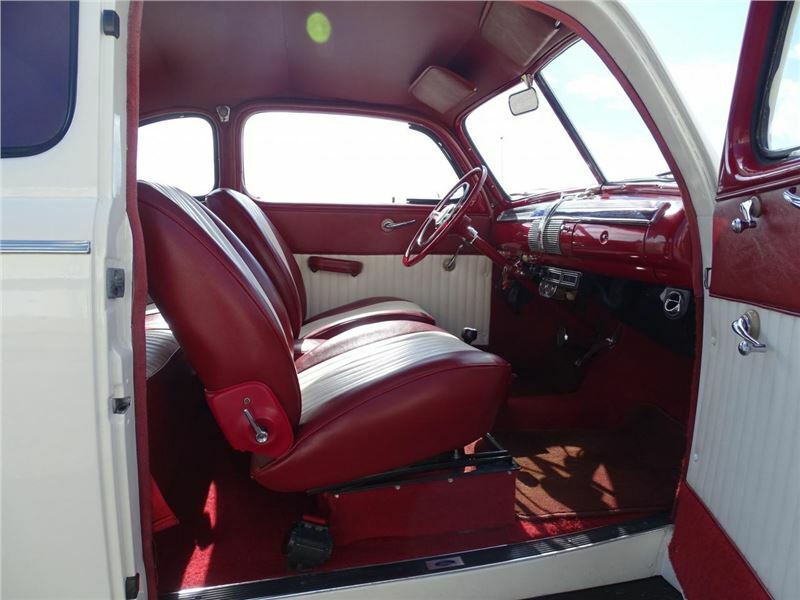 It has been completely repainted, rebuilt, and has very nice interior which is perfect for any show. 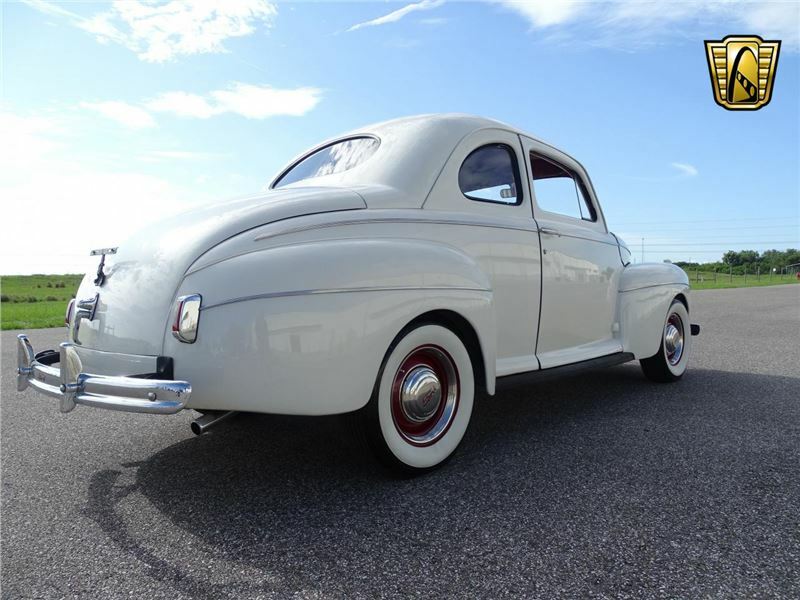 This 1941 Ford Super Deluxe is up for sale in our Tampa Showroom and can be viewed in greater detail including 100+ HD pictures and an HD video at www.GatewayClassicCars.com. 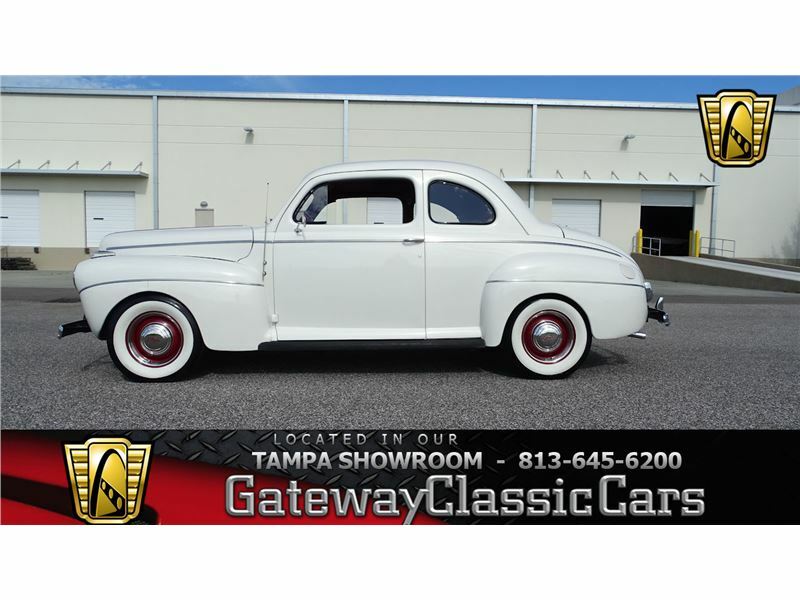 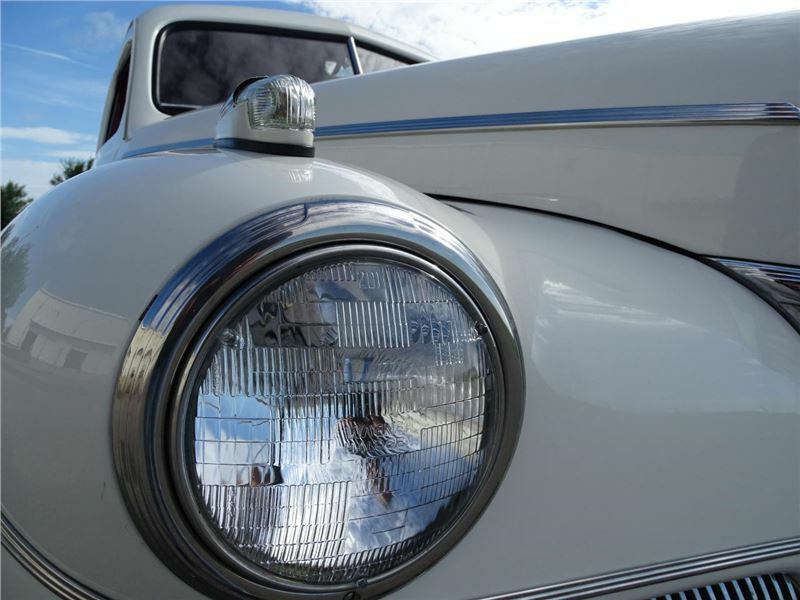 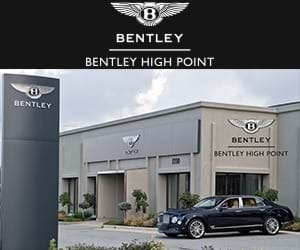 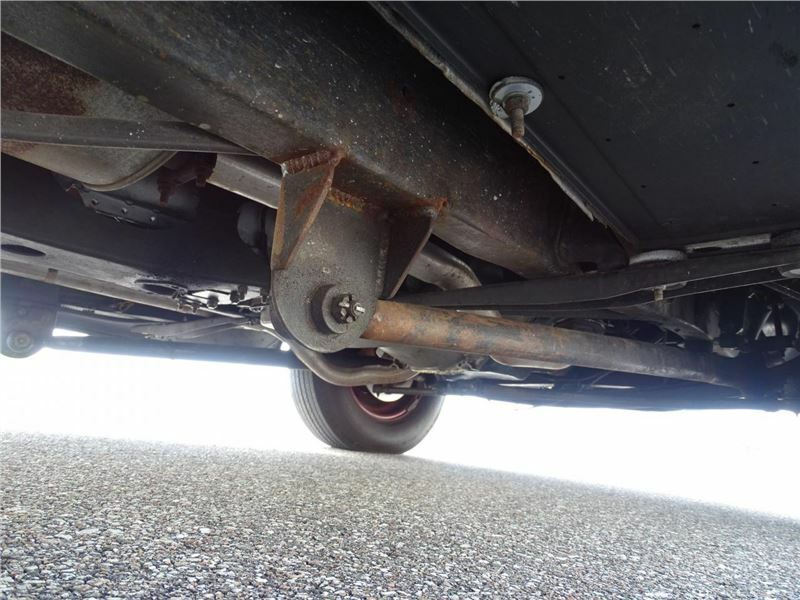 For additional information, please call our knowledgeable staff at (813)645-6200 or email us at Tampa@GatewayClassicCars.com. 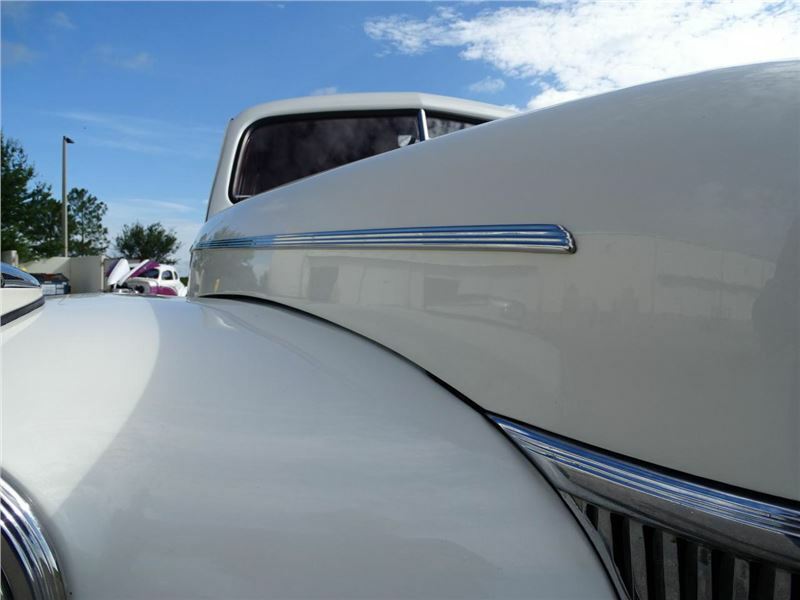 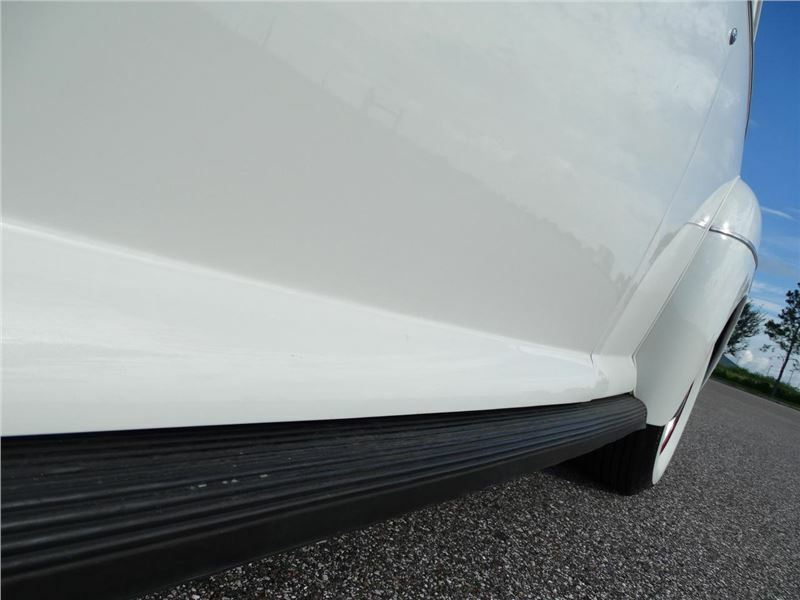 If you would like to see it in person, come to our Tampa Showroom, located at 351 30th Street NE Ruskin, FL 33570. 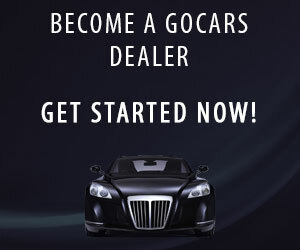 Hours: Monday through Saturday, 9 AM to 5 PM EST.